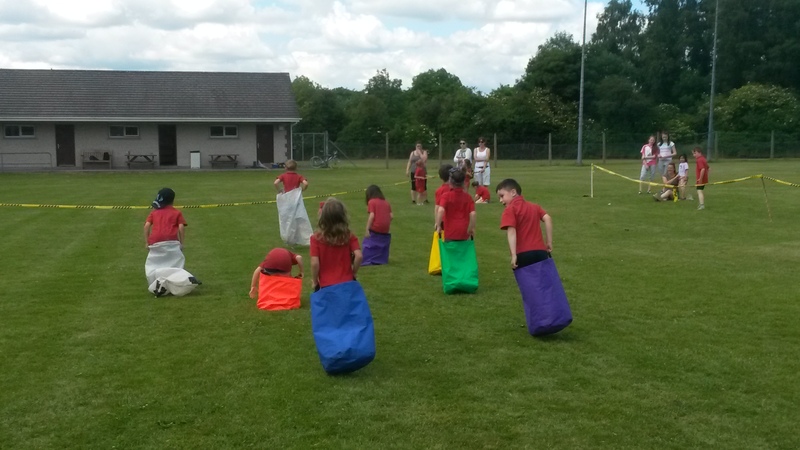 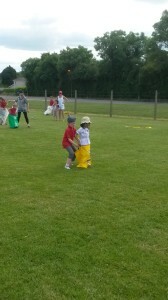 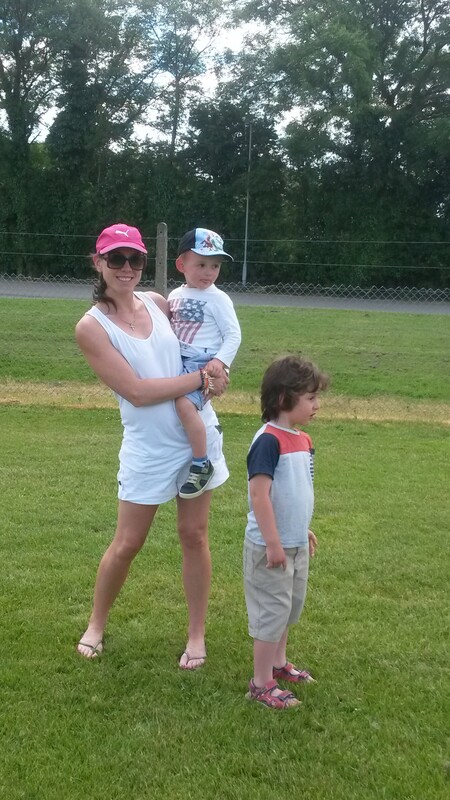 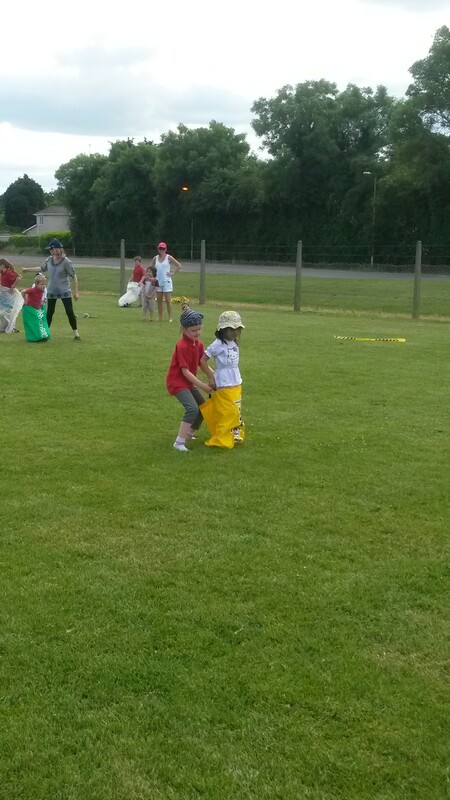 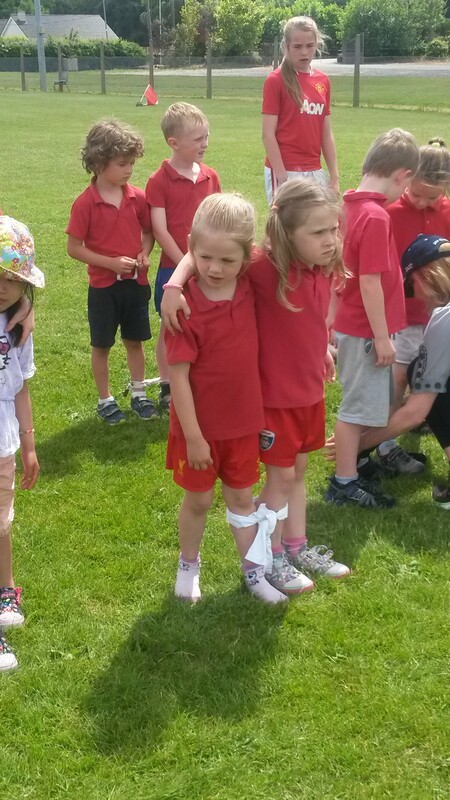 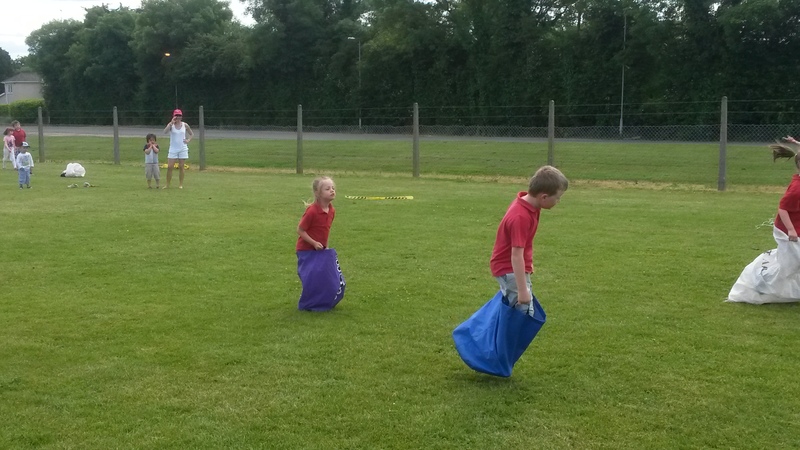 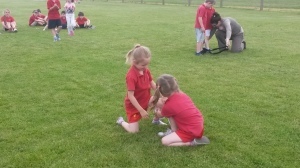 Sports Day 2014. 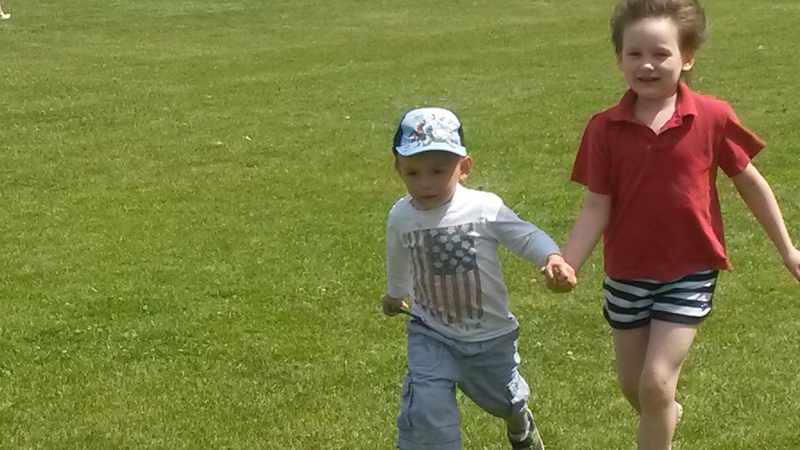 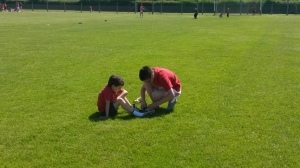 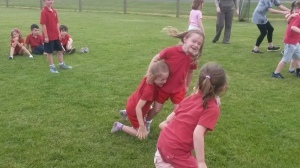 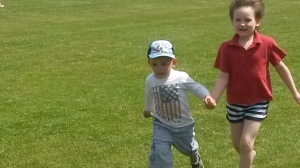 It was a beautiful sunny day with lots of sports fun! As ever, the fruit breaks laid on by the PA went down a treat. 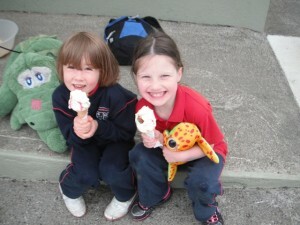 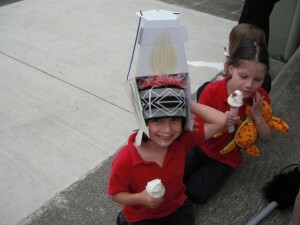 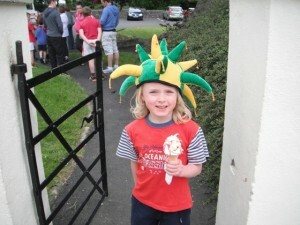 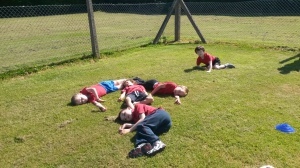 The after-busy-sports-day ice-cream went down well too. 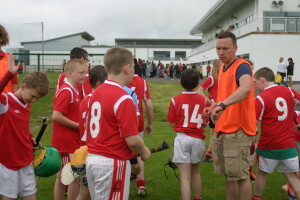 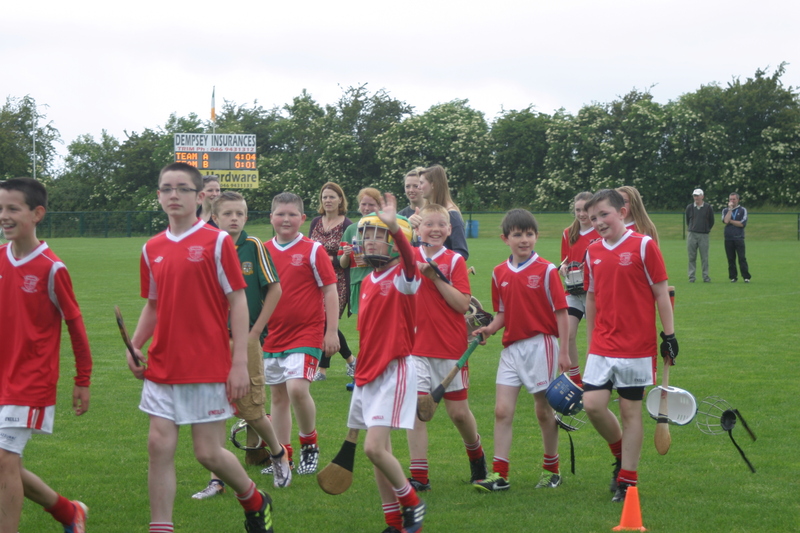 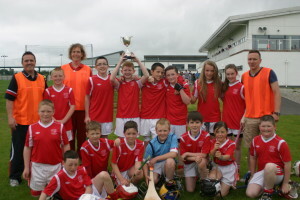 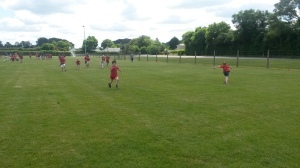 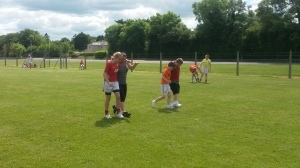 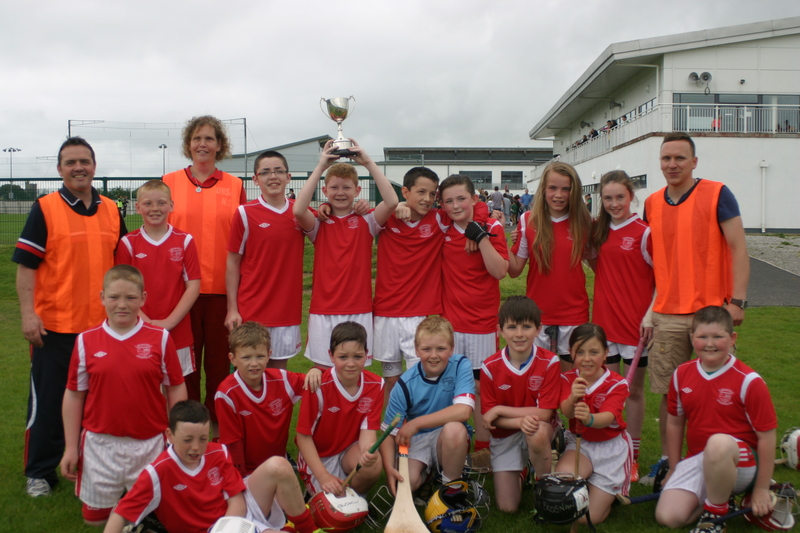 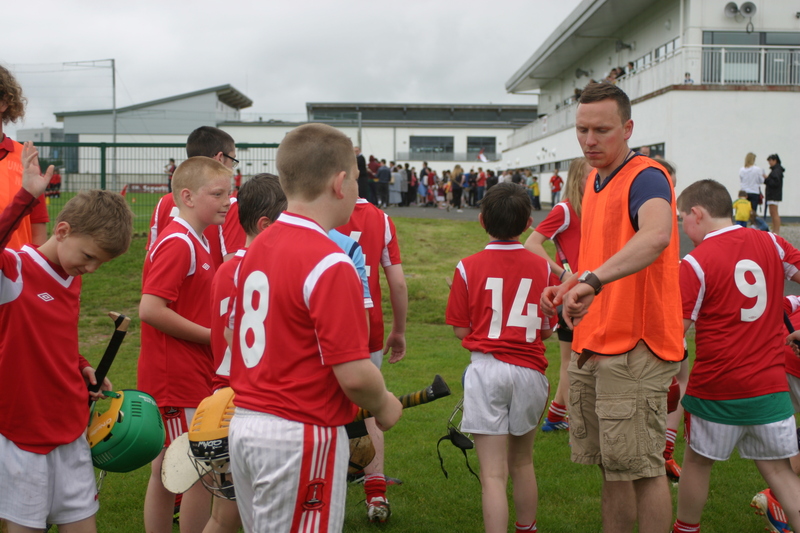 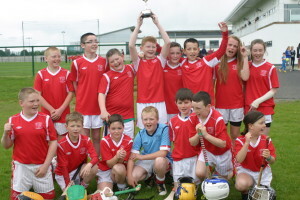 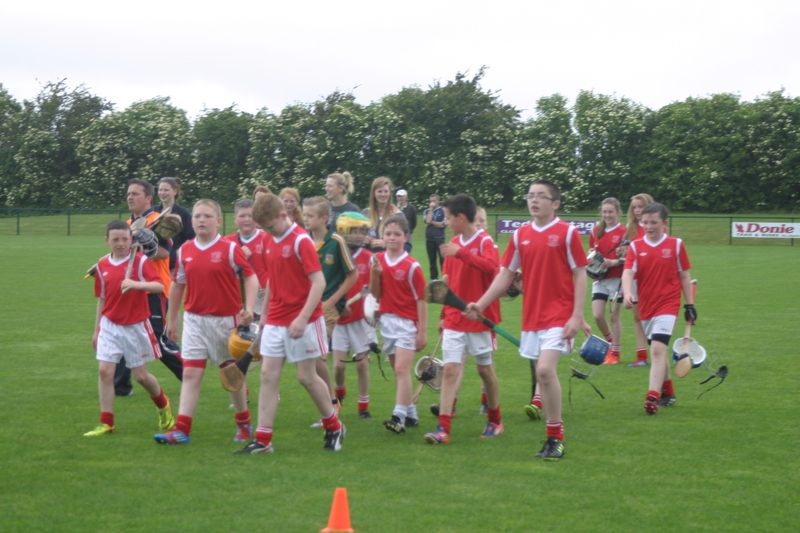 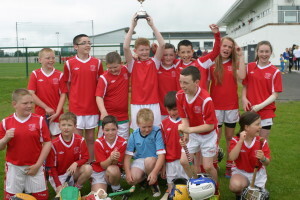 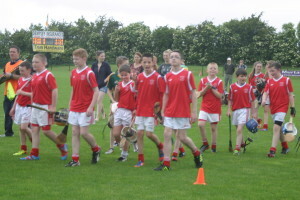 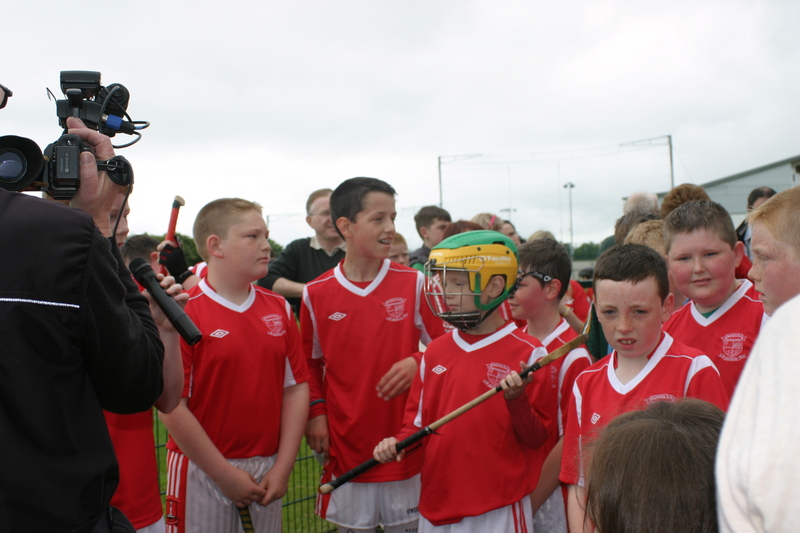 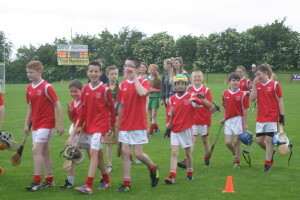 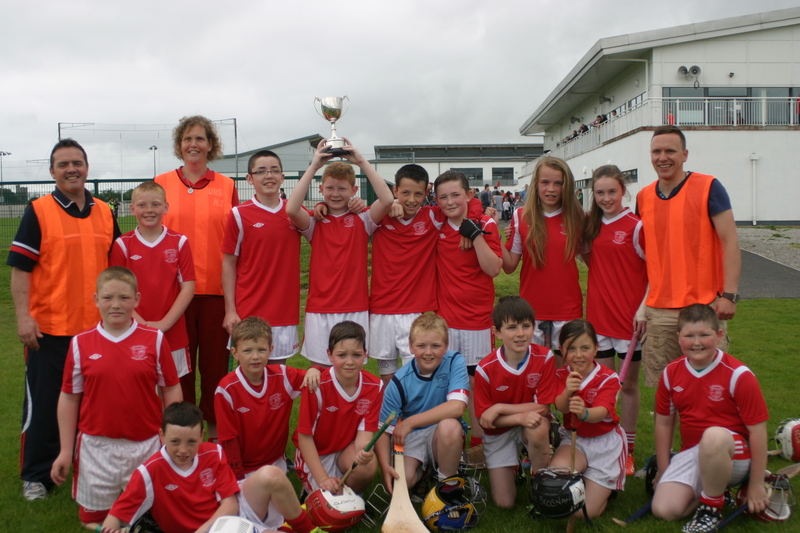 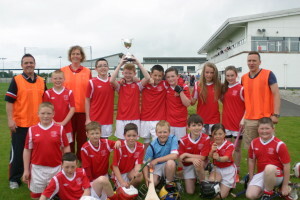 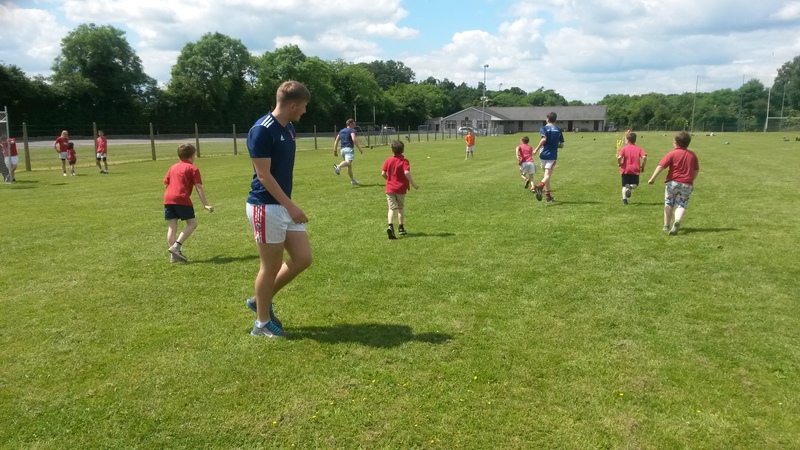 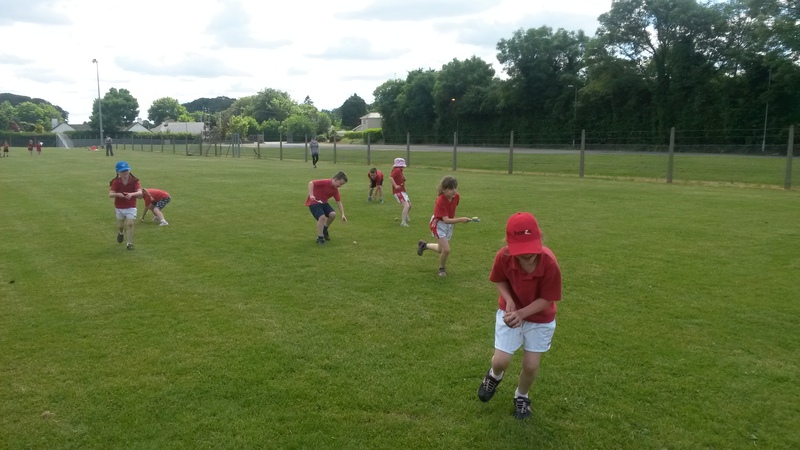 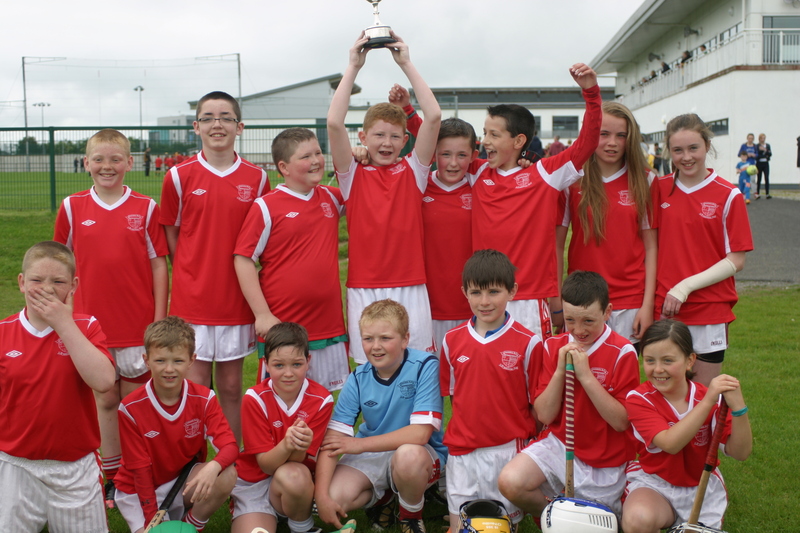 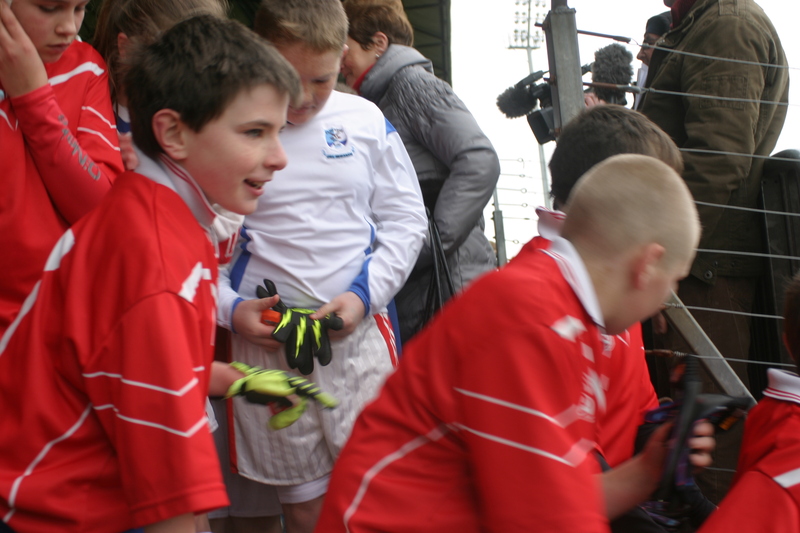 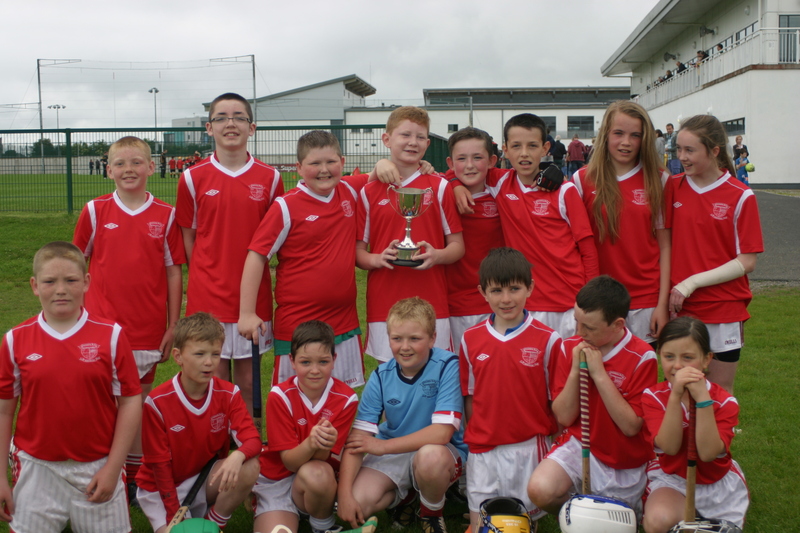 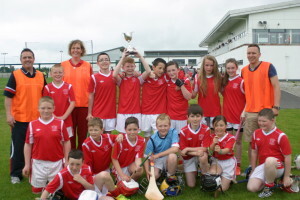 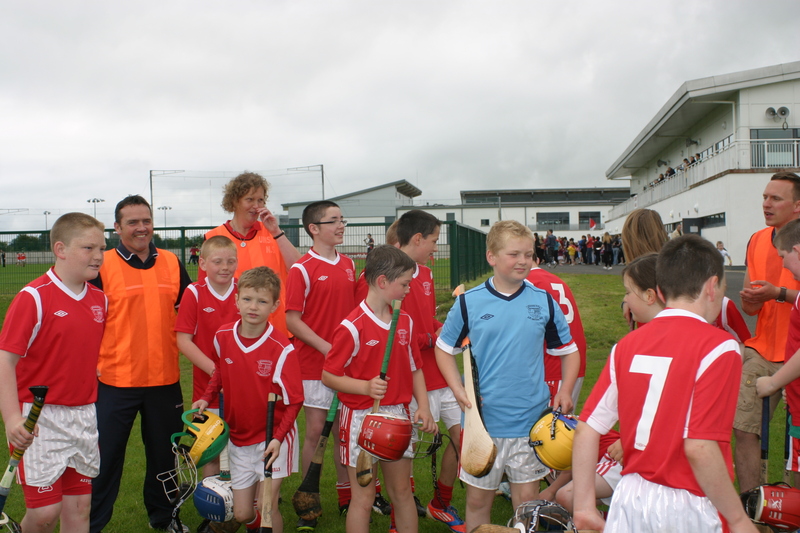 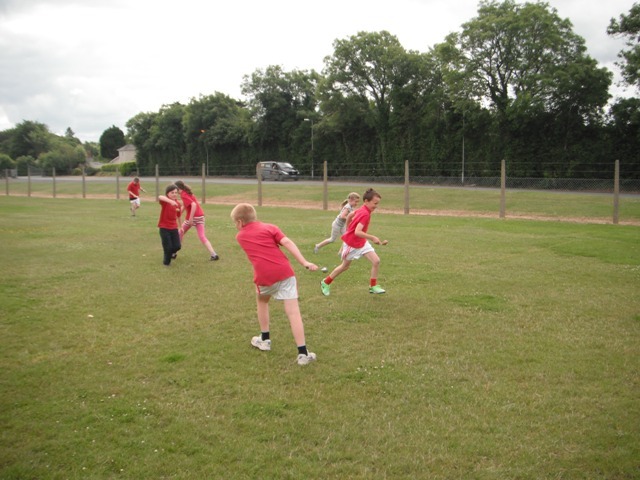 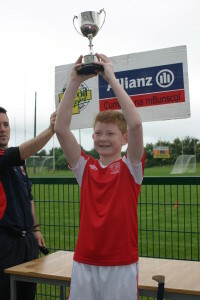 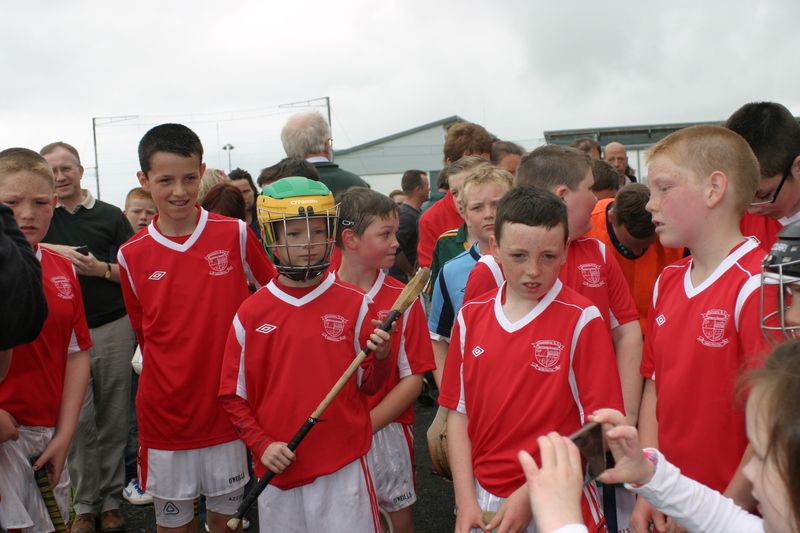 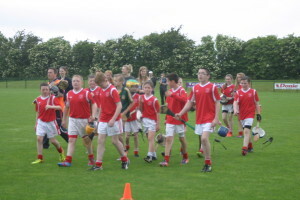 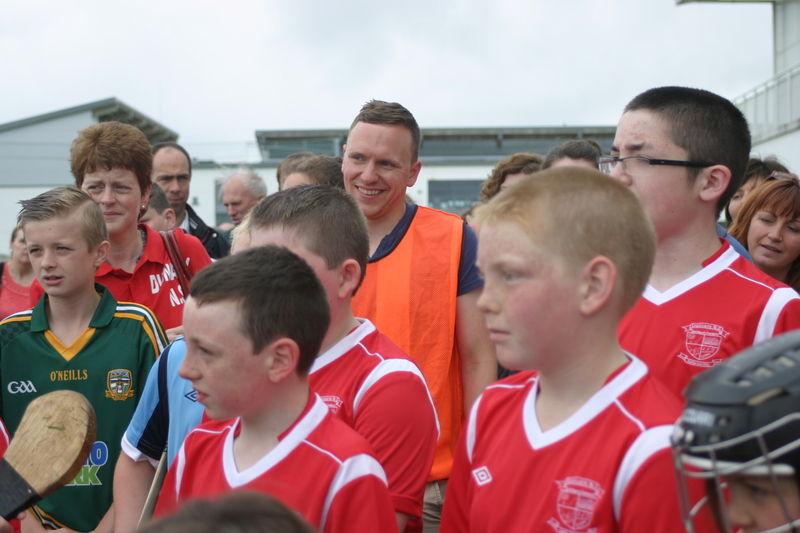 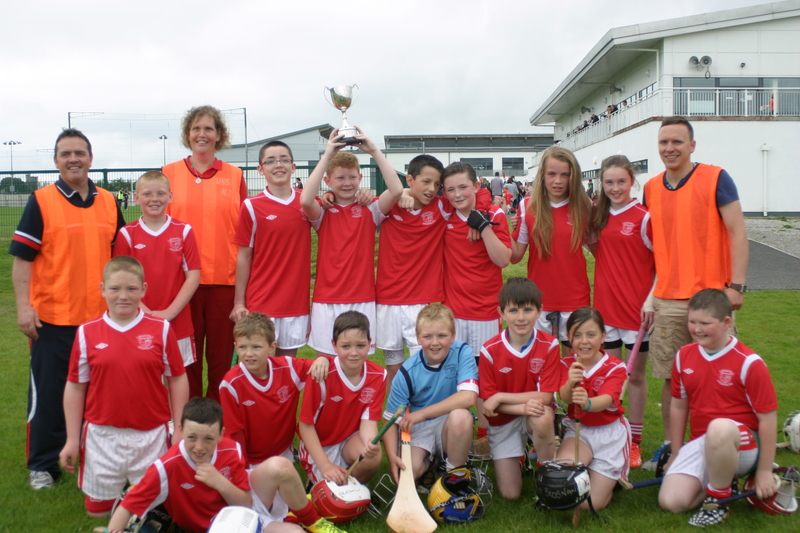 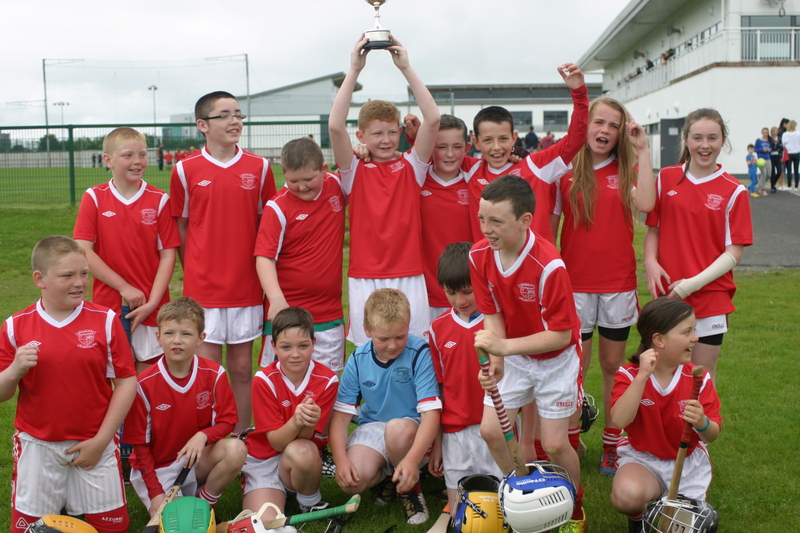 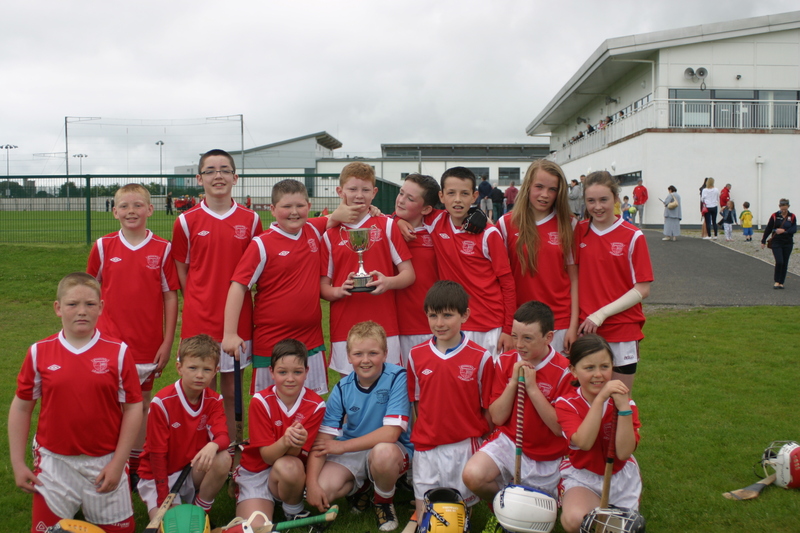 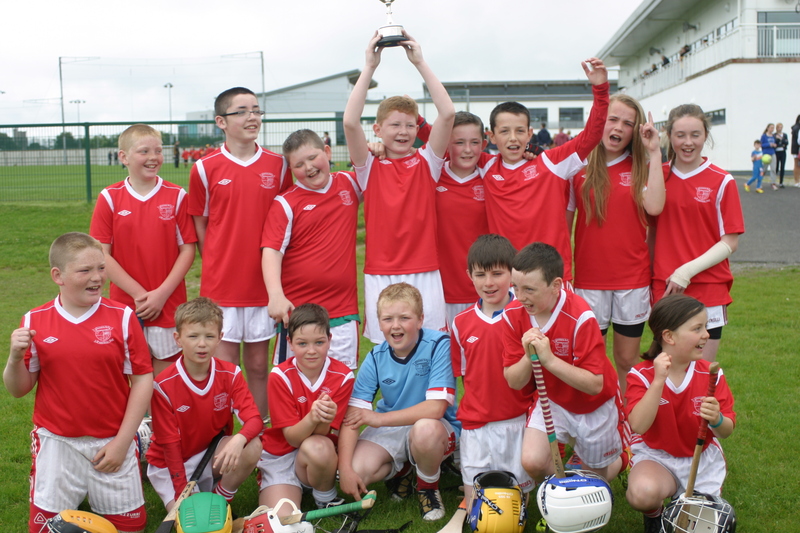 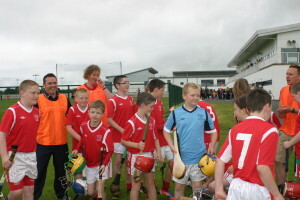 It was with great pride that the boys and three girls of our Boys’ Hurling Team took to the pitch in the Cumann na mBunscol Hurling Final on Saturday morning 14 June 2014 @ the GAA grounds, Trim. 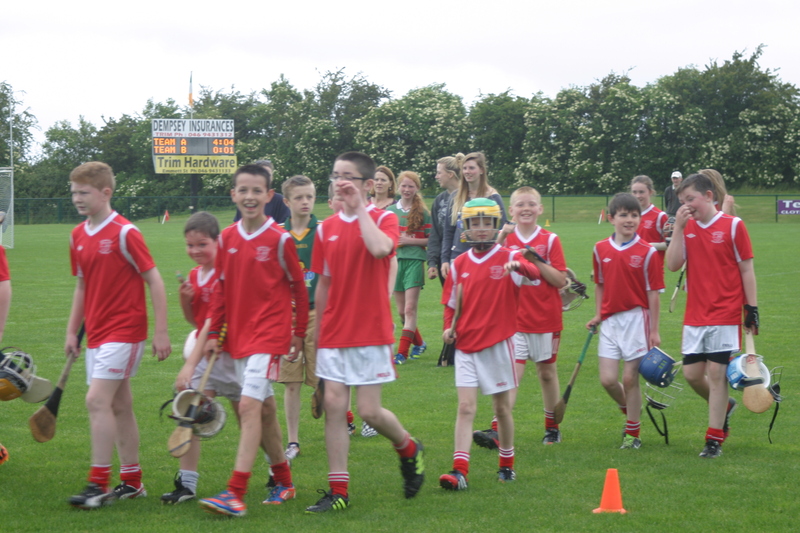 Not least because it had been 5 years since Dunsany NS had clenched a hurling title, but also because they stepped out in style! 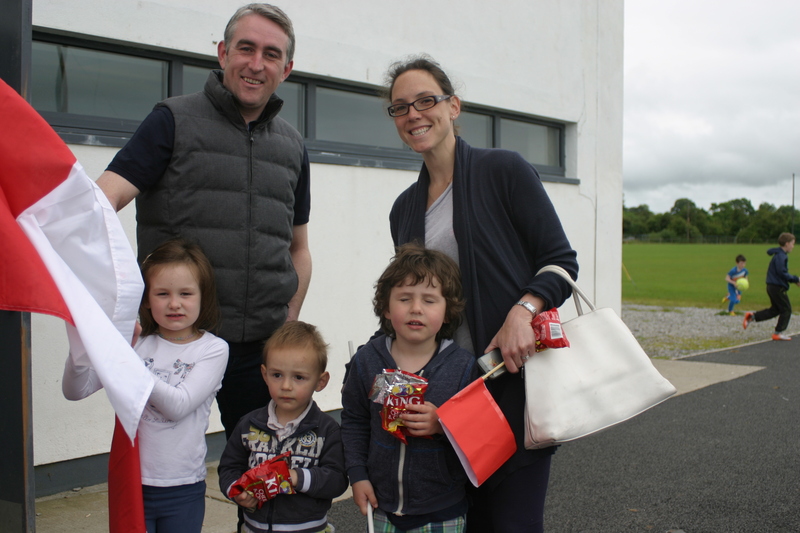 The team were surprised by an unexpected gift the previous day of a full set of brand new tailor-made jerseys. 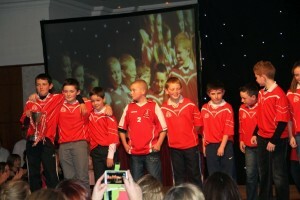 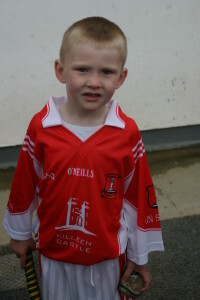 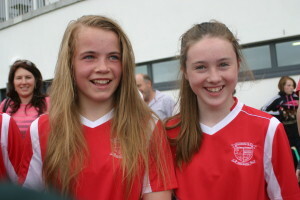 The jerseys, bearing our school crest were gifted to the players by the Keoghan Family, Kilcarty. 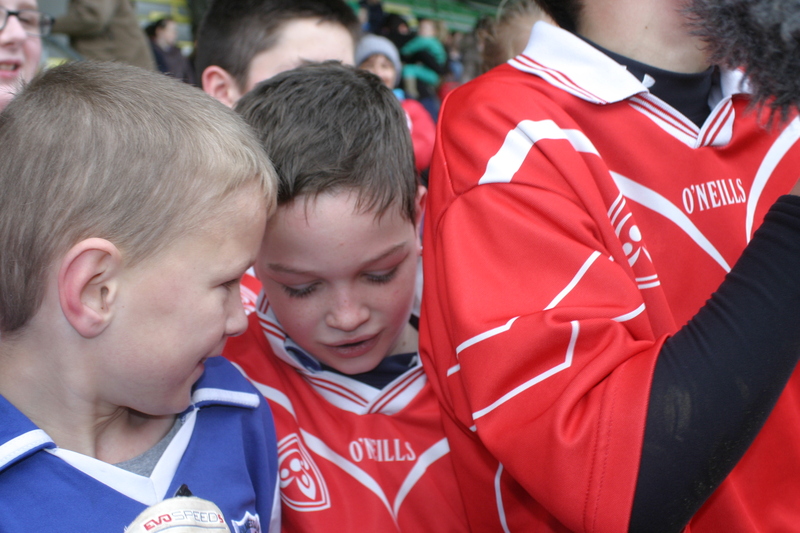 We’re sure Lorcan, Seán and captain Eoin Jack were especially proud to be the first team to wear the new jerseys, given to us by their dad, aunties and grandad. 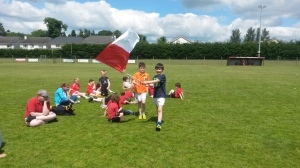 Go raibh míle maith agaibh go léir, a mhuintir Uí hEochagáin! 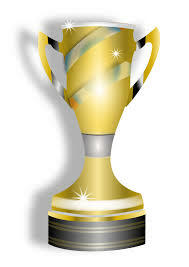 And if that wasn’t reason enough to be proud – we won! 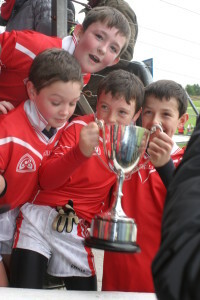 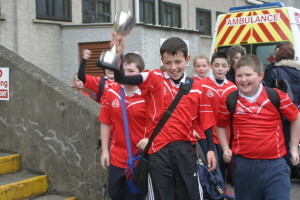 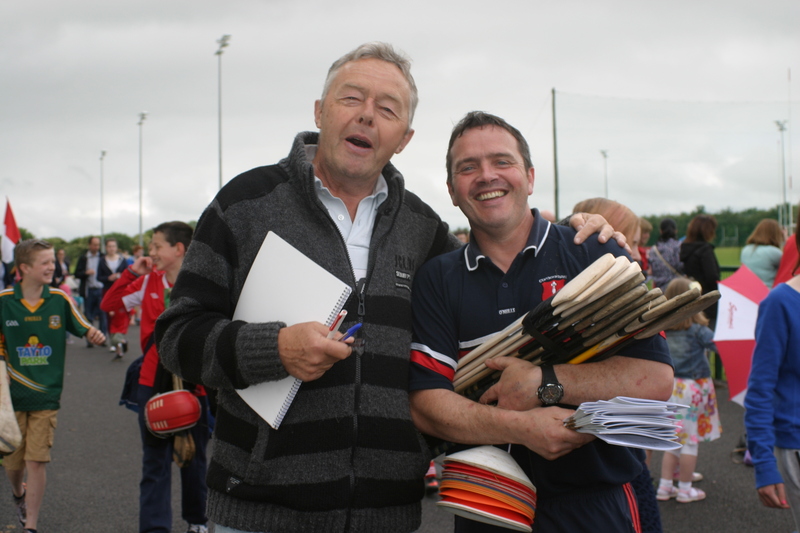 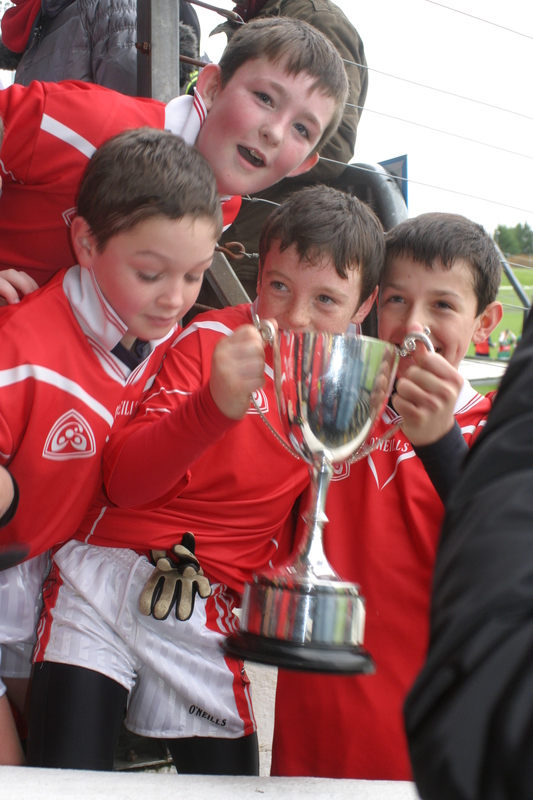 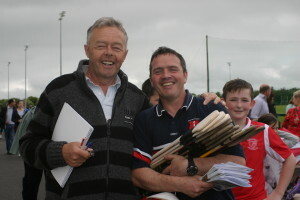 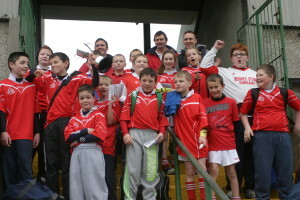 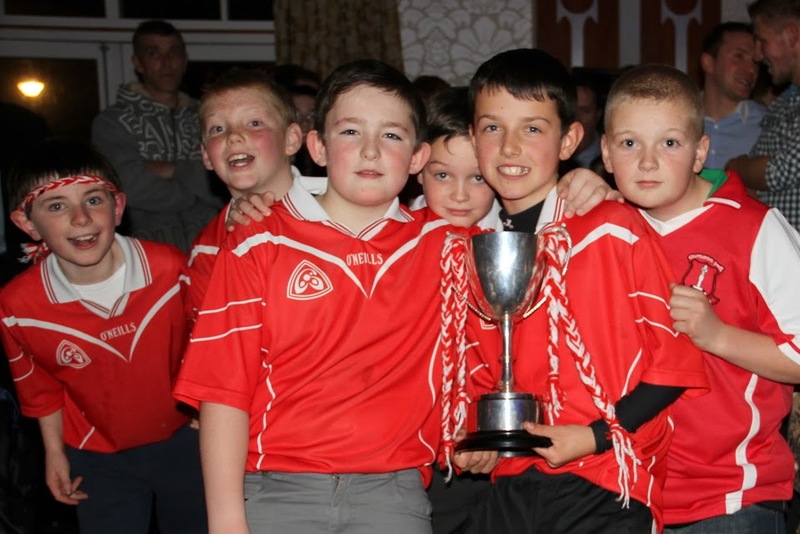 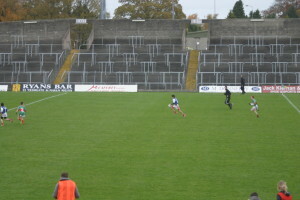 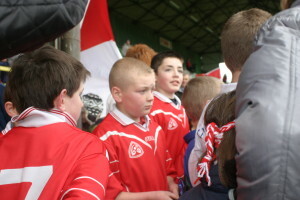 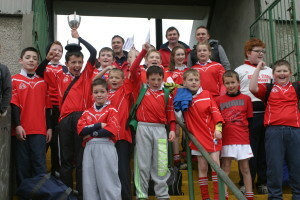 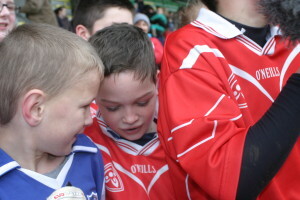 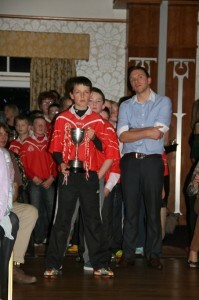 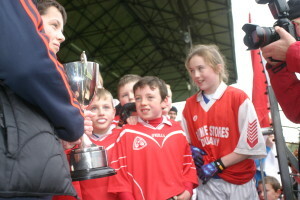 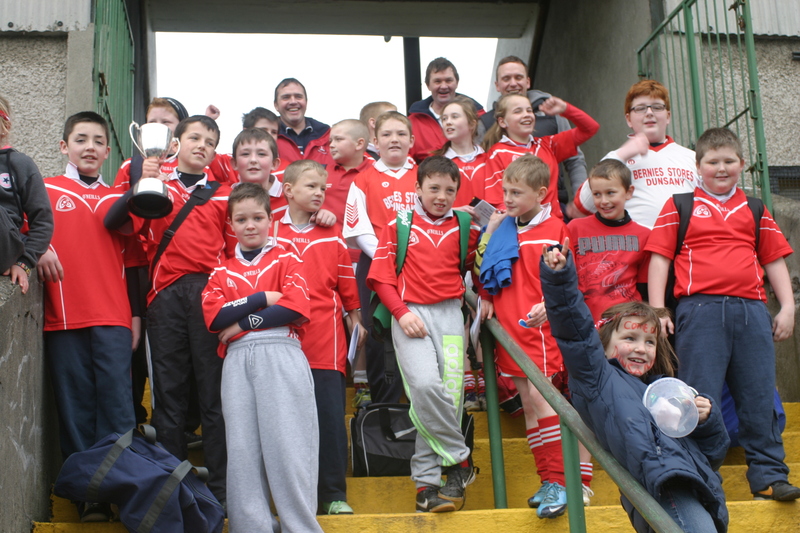 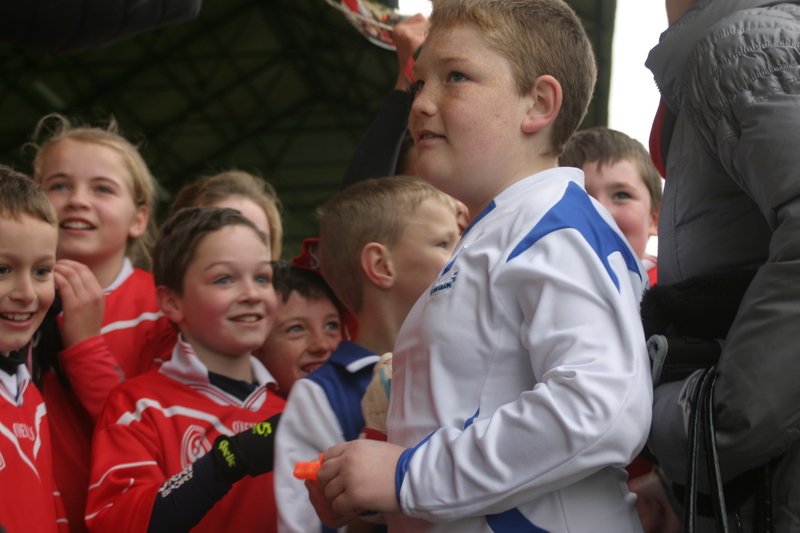 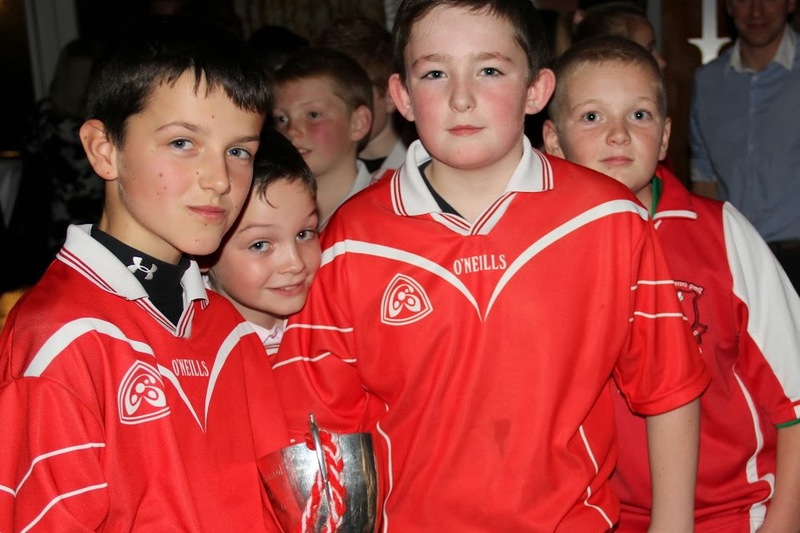 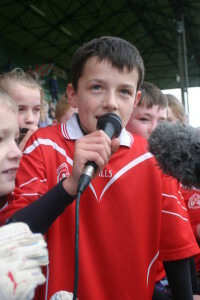 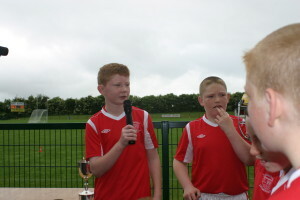 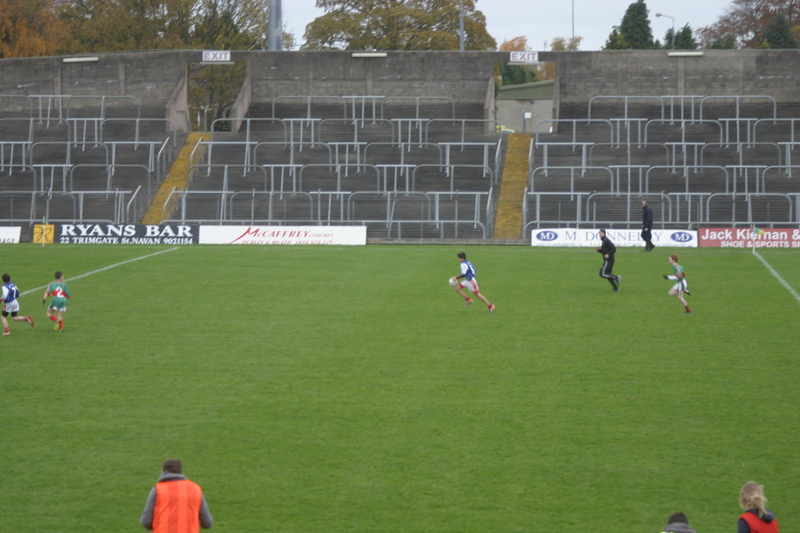 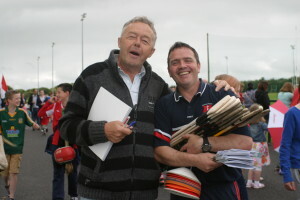 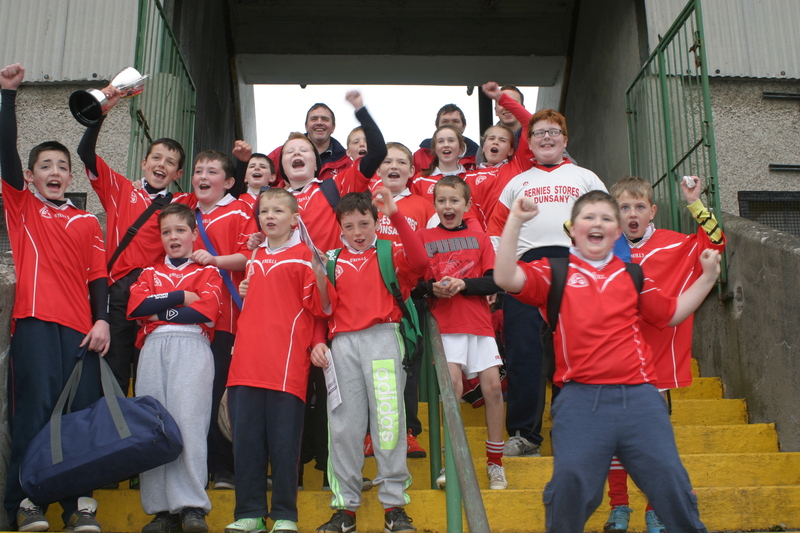 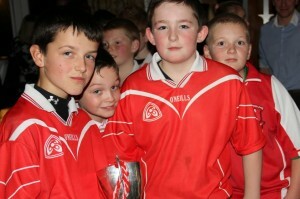 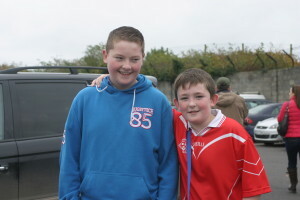 Yes, Dunsany NS are this year, the holders of the county title in football and now the county title in hurling. 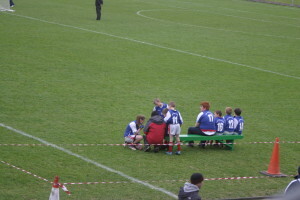 The scoreline 4:4 to 0:1 suggests that match was a very one-sided affair, but that wasn’t the case. 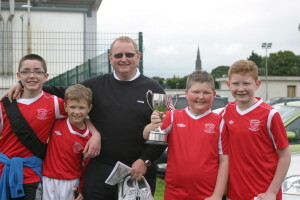 Killyon, 2012 and 2013 champions were worthy opponents and put up a great match. 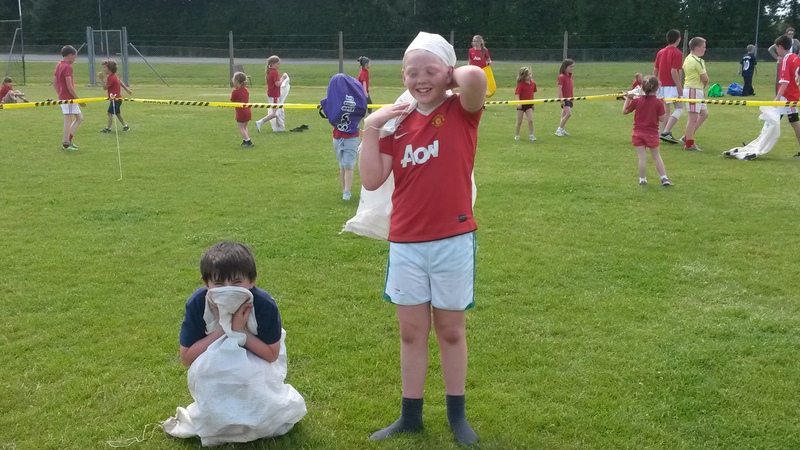 Unfortunately for them, they were unable to convert their efforts into scores – although our gang assert that they “didn’t let them play”, “We shot them down!” !! 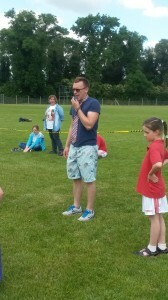 In his acceptance speech, which included the traditional 3 hip-hip hoorays for the losing team (and on this occasion 3 well-deserved hip-hip hoorays for our Mr Donnelly!) 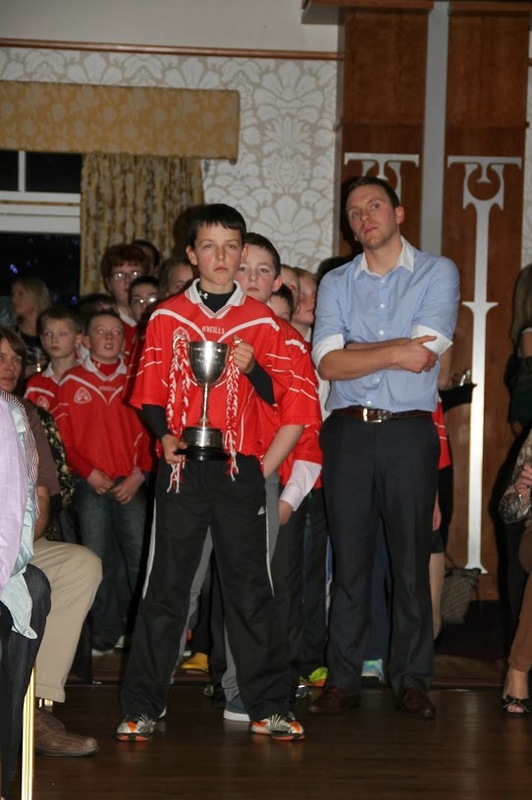 our captain Eoin Jack paid tribute to Killyon saying that it was their game over the past few years that had made us bring up our game. 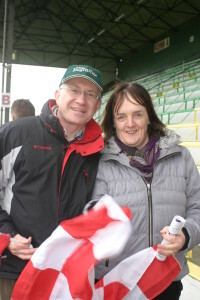 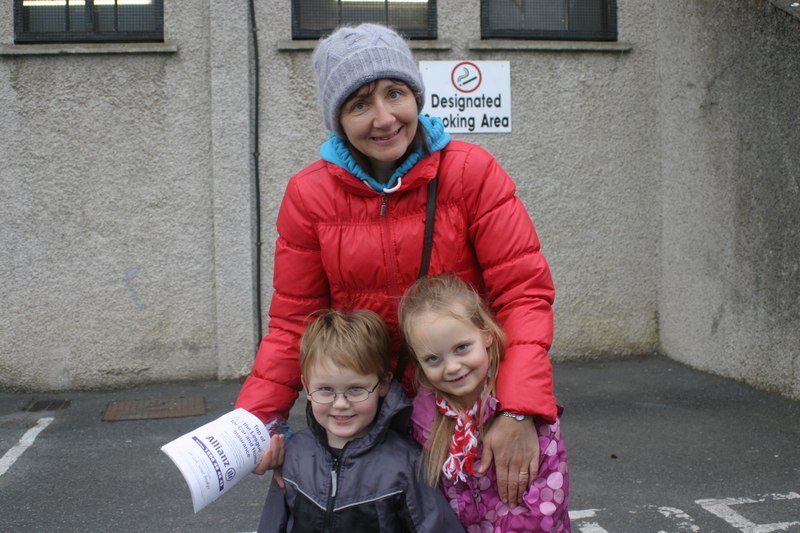 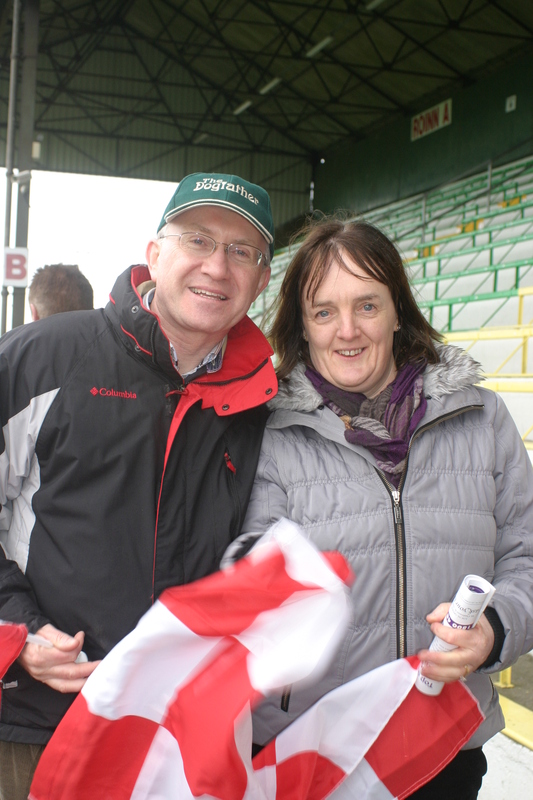 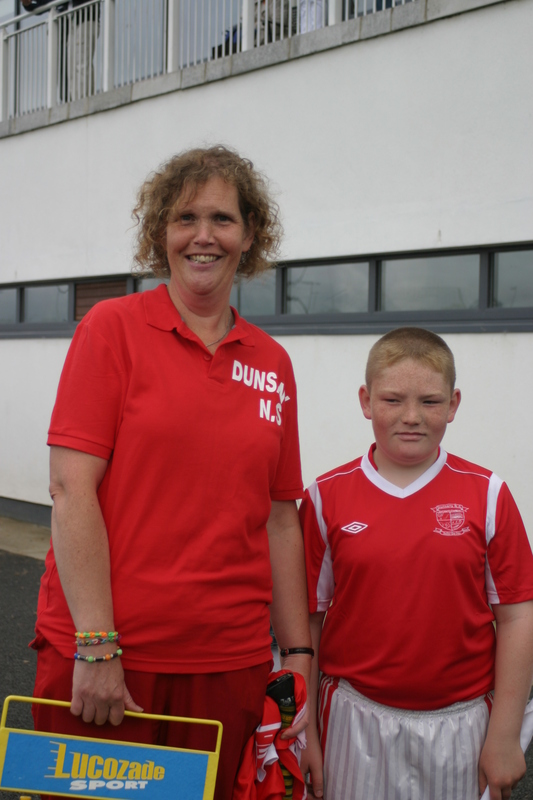 Thanks were conveyed too to our parent mentors, Therese Kane and James Maguire. 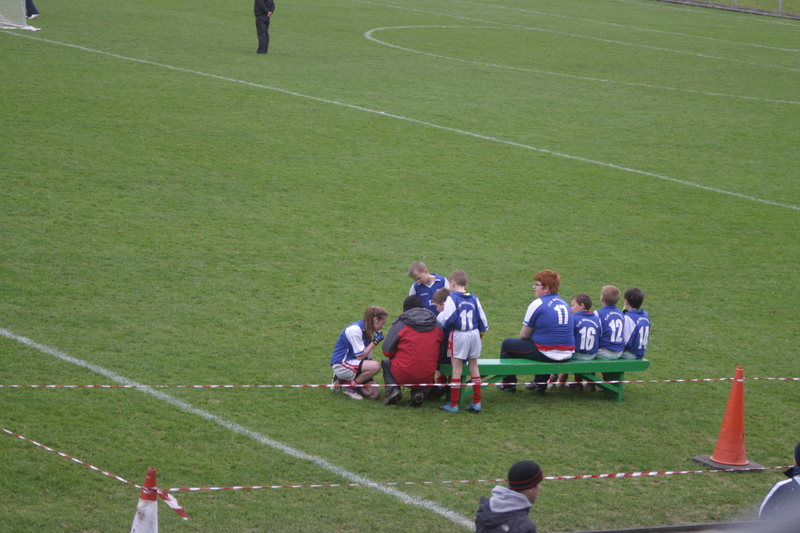 We thank too our local trainers – their dedication to these young players played no small part in their success. 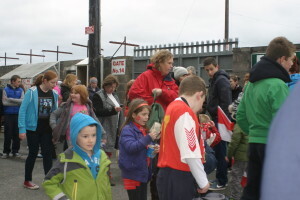 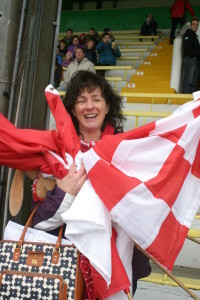 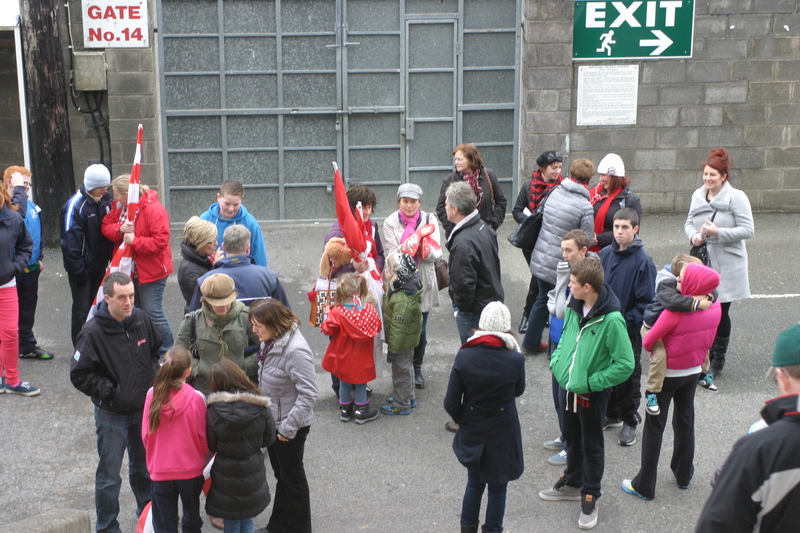 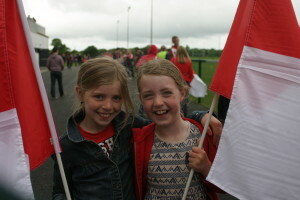 The support on the morning was amazing – many families with young children turning out in force, in red and white and flags a-flying to lend their support. 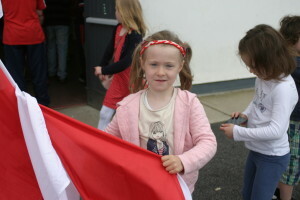 Some younger pupils had been up early that morning making their own flags. 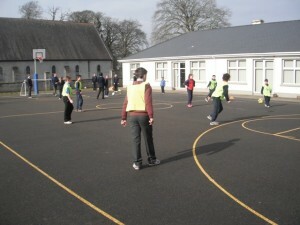 A reception was laid on afterwards back at the school for all who attended. 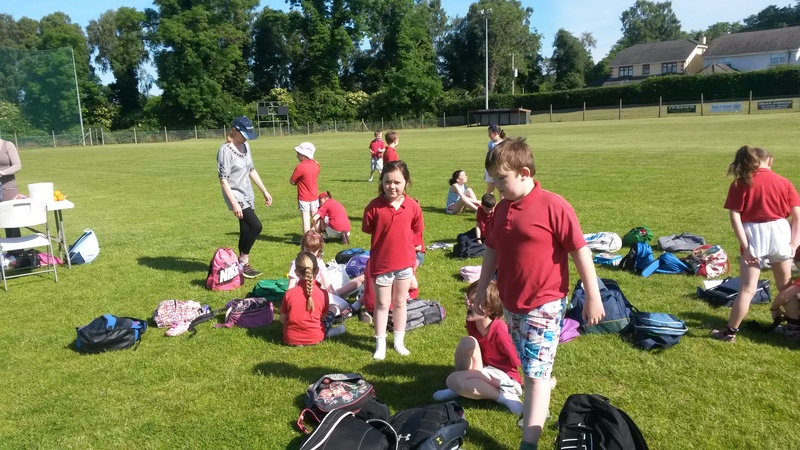 We are proud of your sporting success and your sporting attitude this year boys and girls. 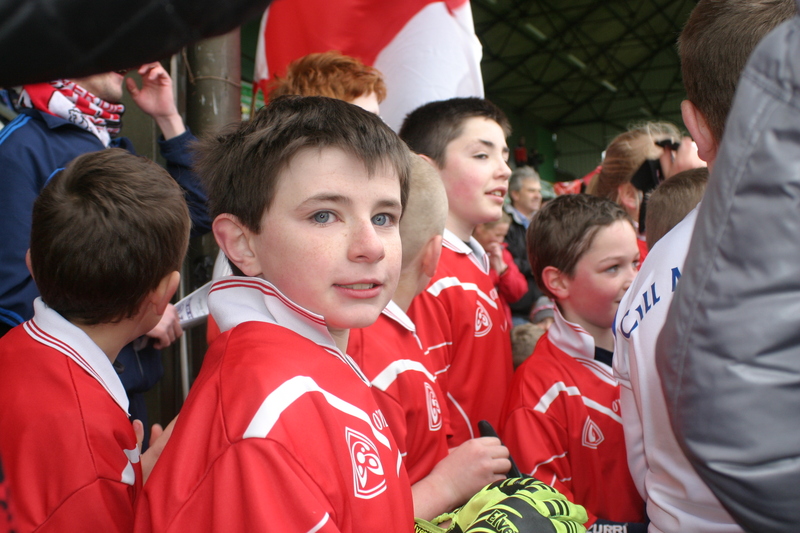 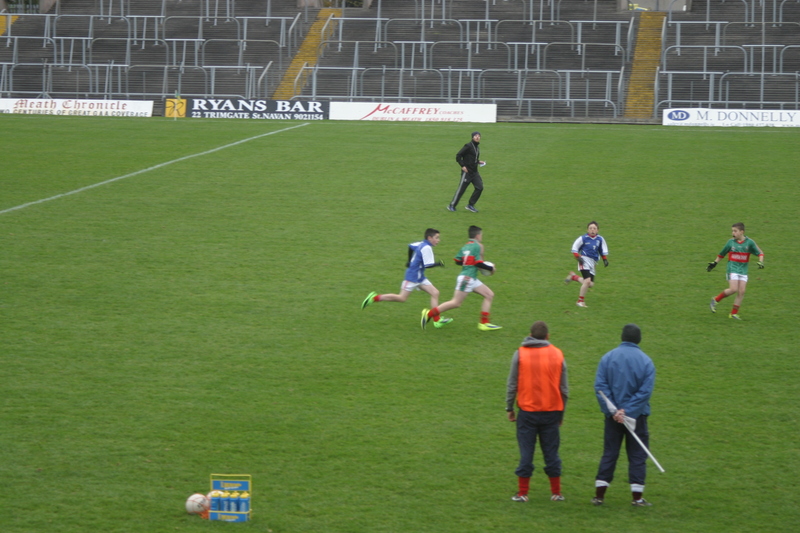 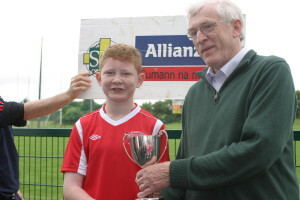 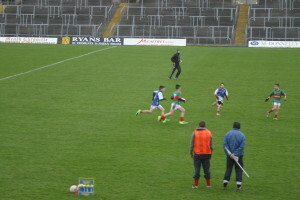 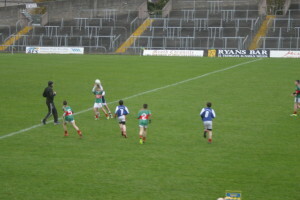 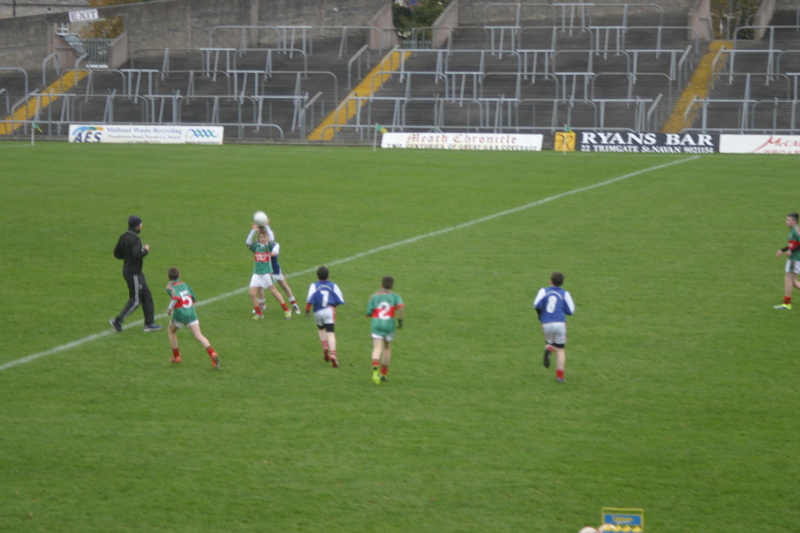 Morgan Byrne (6th class) was chosen to represent our school at the National Football League Exhibition Match between Meath & Galway on 2 February 2014. 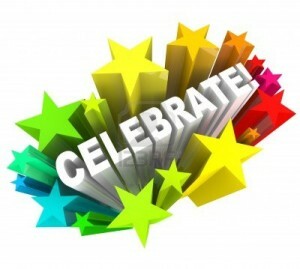 Congratulations Morgan on this great opportunity. 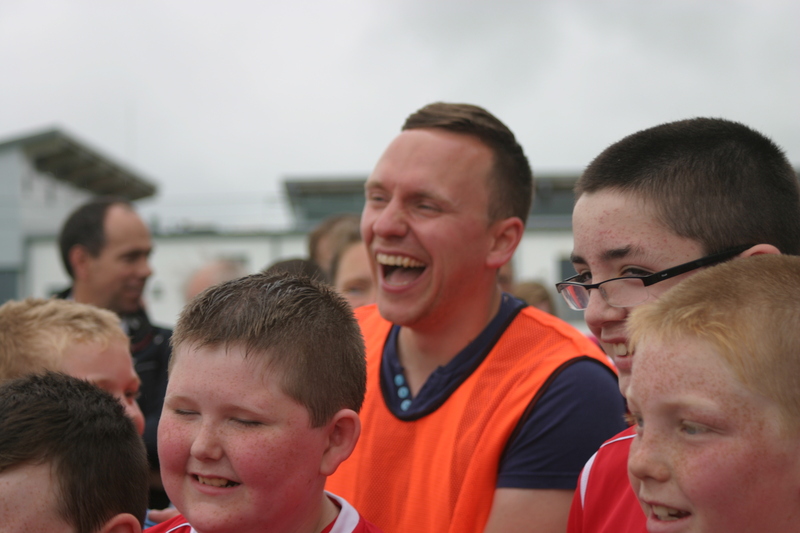 We hope you really enjoyed this experience amongst the ‘chosen few’ from Meath. 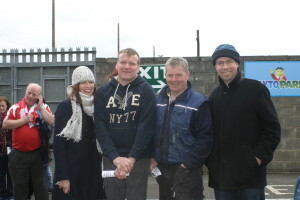 Morgan is pictured here on the right with members of the composite team. 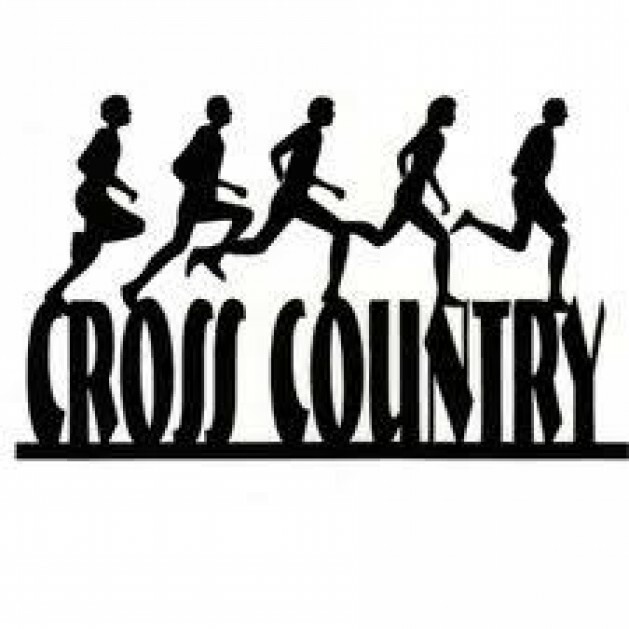 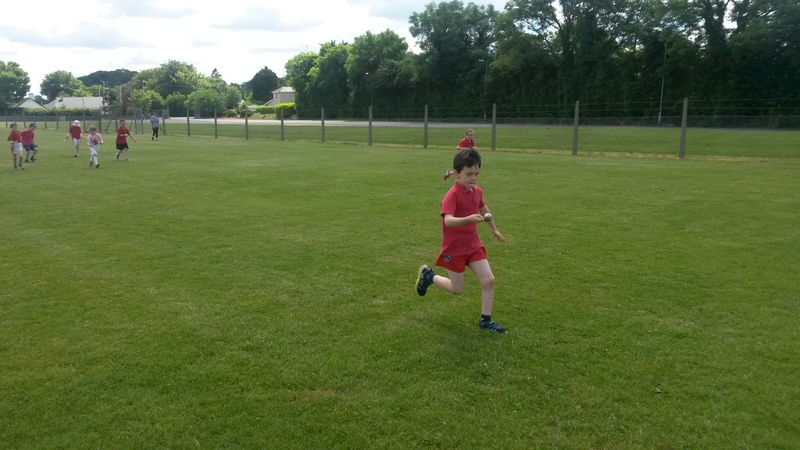 The school’s Running Club were busy training for the recent Cross County Championships that took place on Wednesday 27 November. 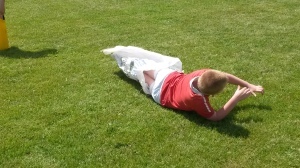 They ran off their qualifiers and the teams that will represent the school at county level have been set. The runners have attended after-school training every week since September, whatever the weather! 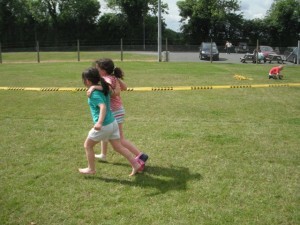 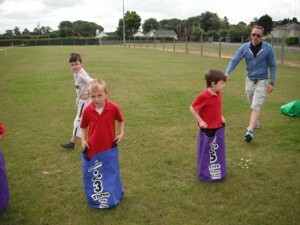 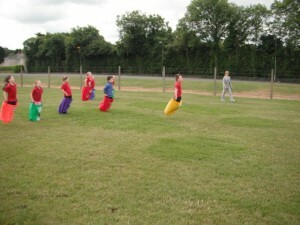 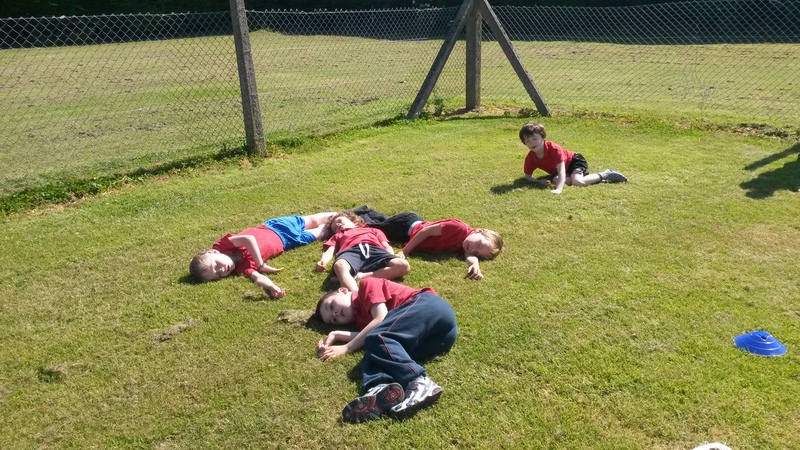 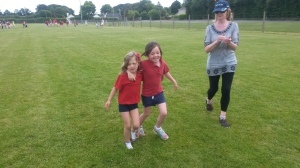 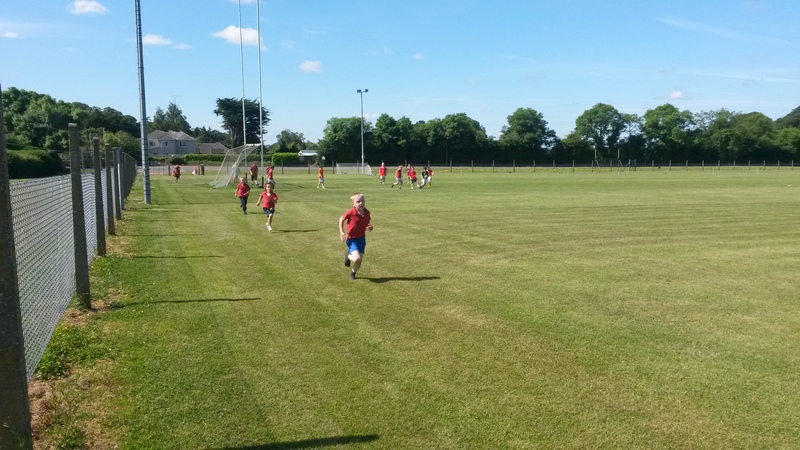 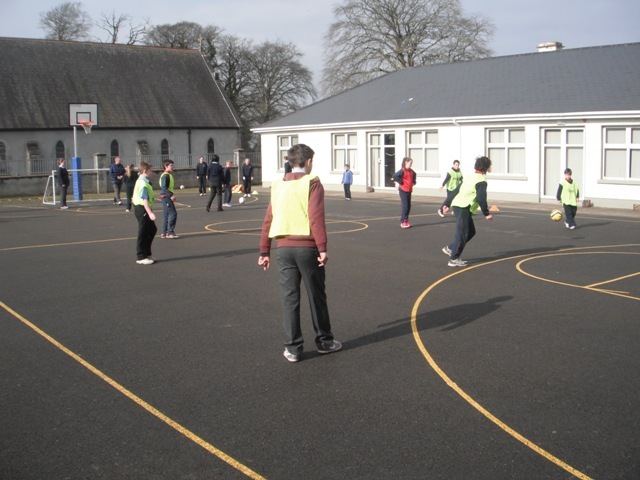 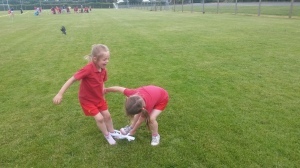 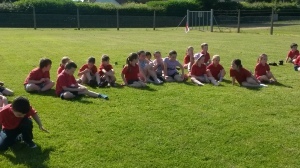 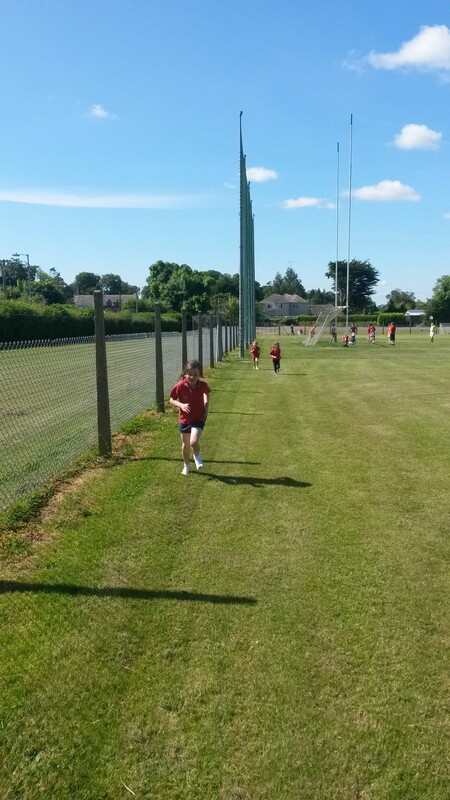 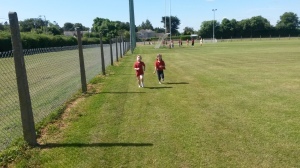 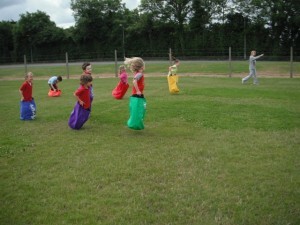 The Running Club which is open to pupils from 1st-6th class incl., comprises one third of the whole school! Go n-éirí libh sa rás mór a pháistí. 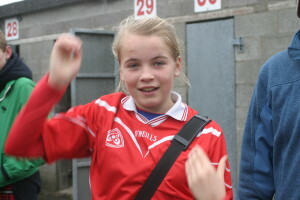 The winning Dunsany N.S. 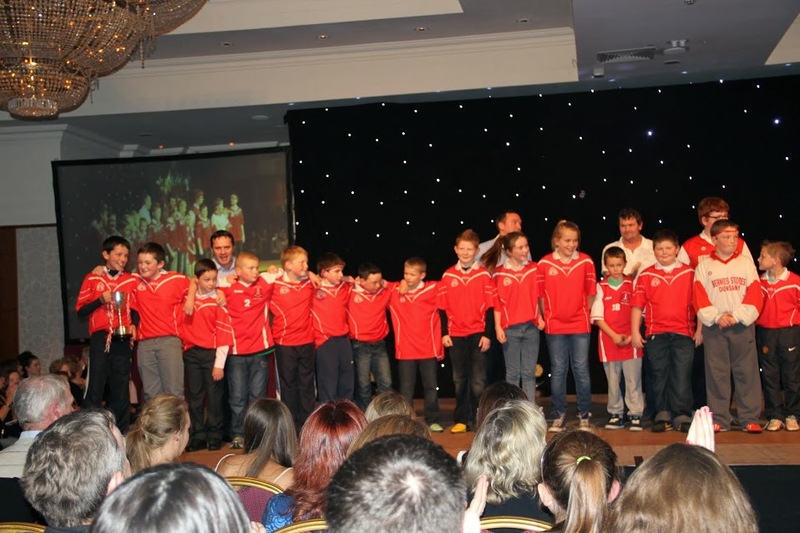 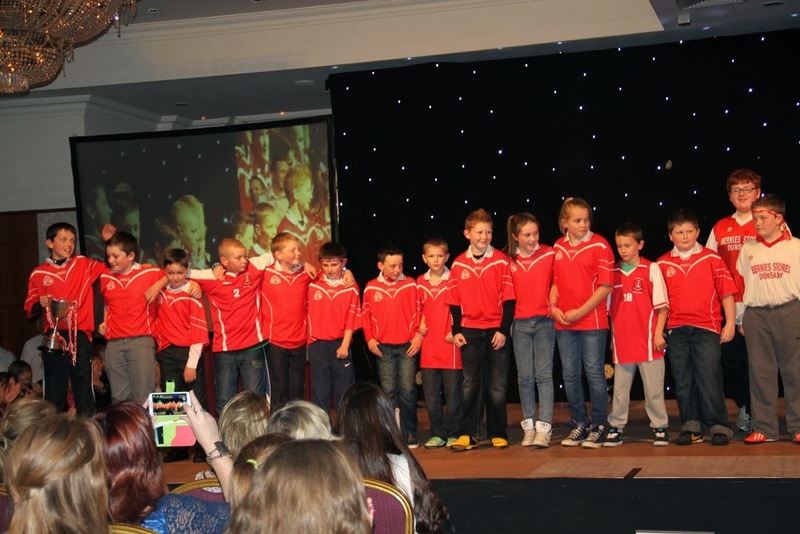 team from The Cumann na mBunscol final was invited to share their joy with all the people who were at Strictly Come Dancing in Knightsbrook Hotel on Sunday 17th. 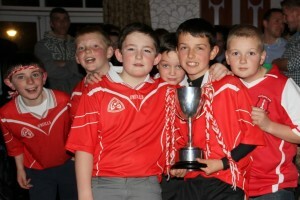 The team shone in all their glory on the stage with the cup. Well done again to all. 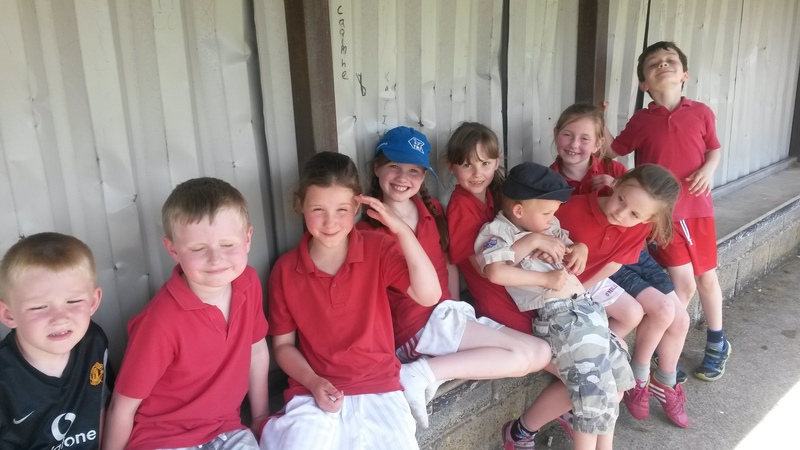 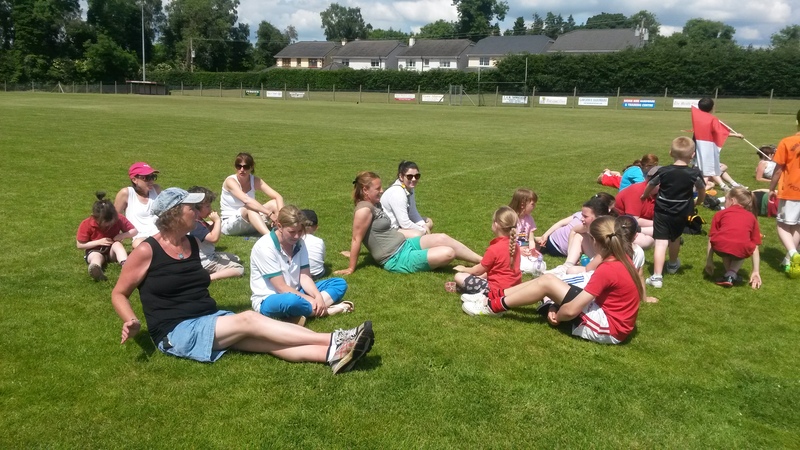 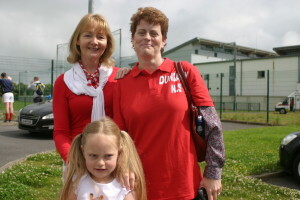 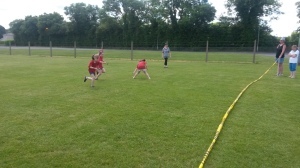 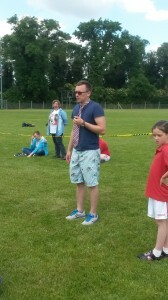 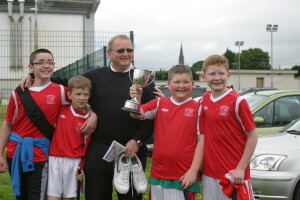 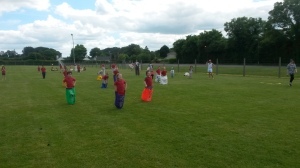 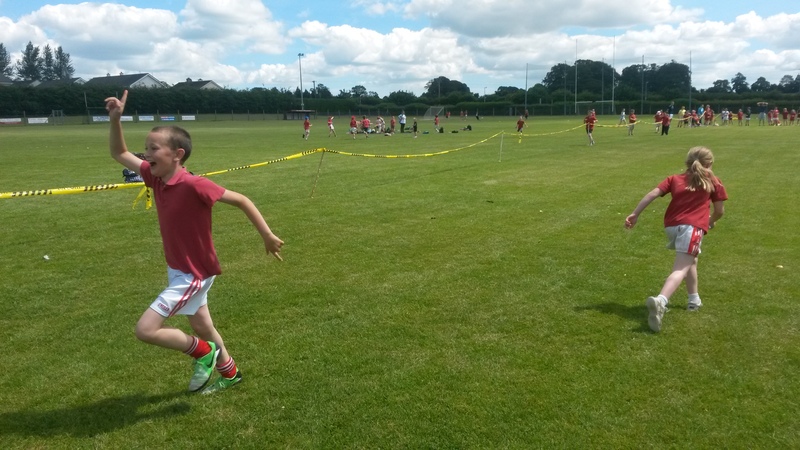 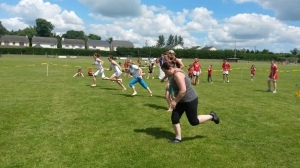 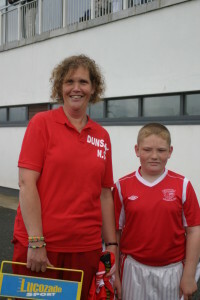 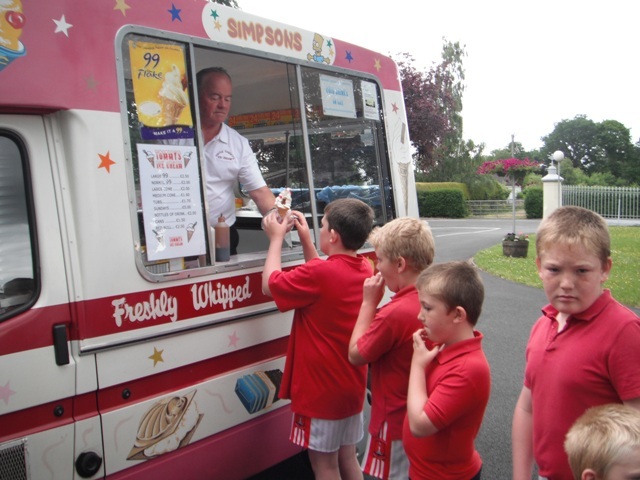 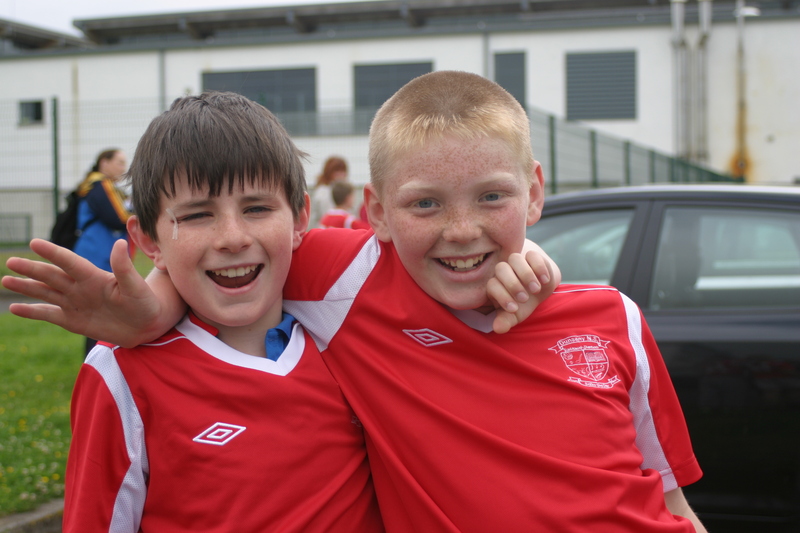 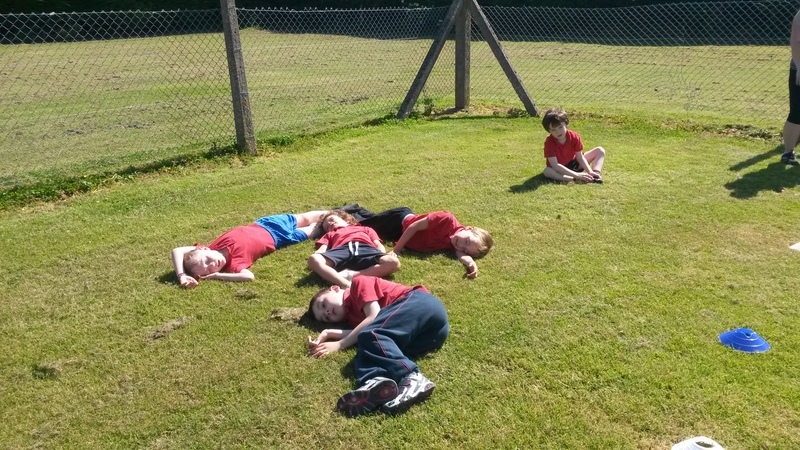 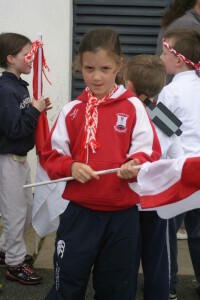 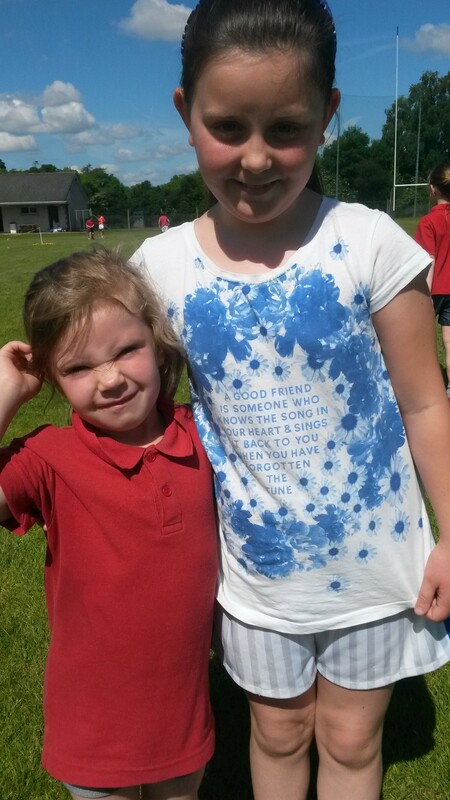 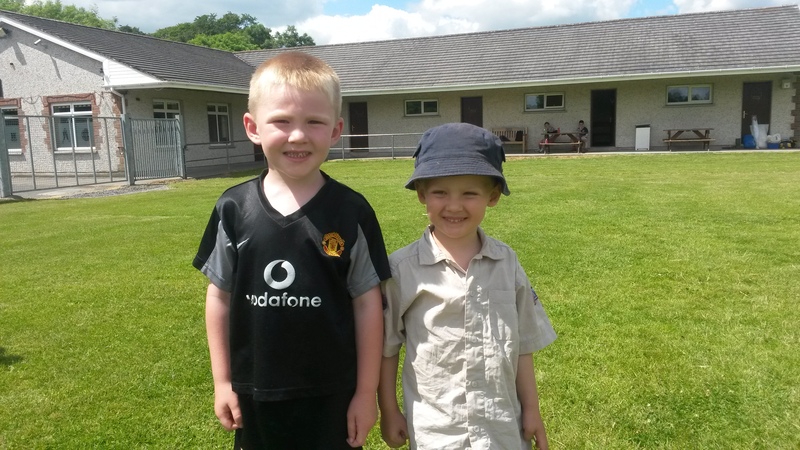 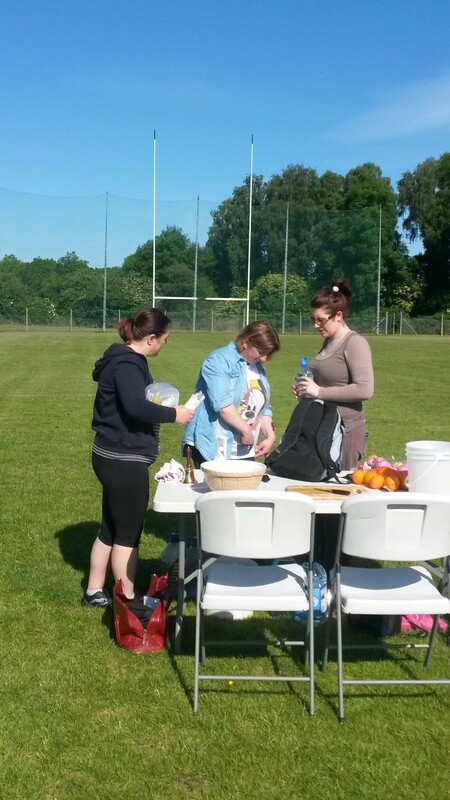 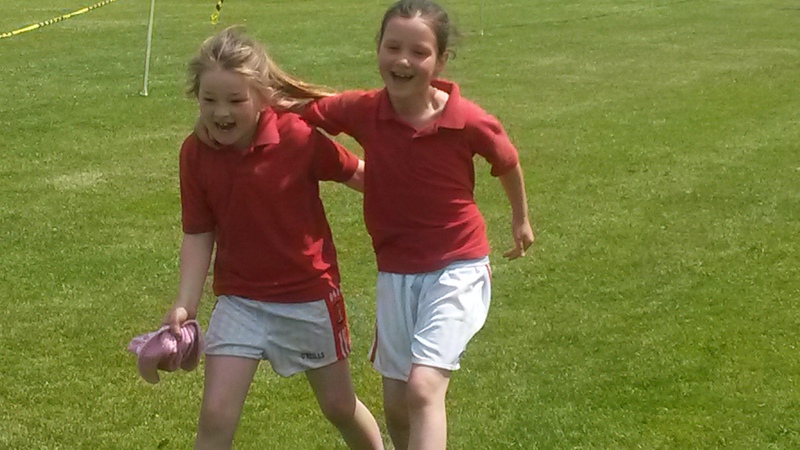 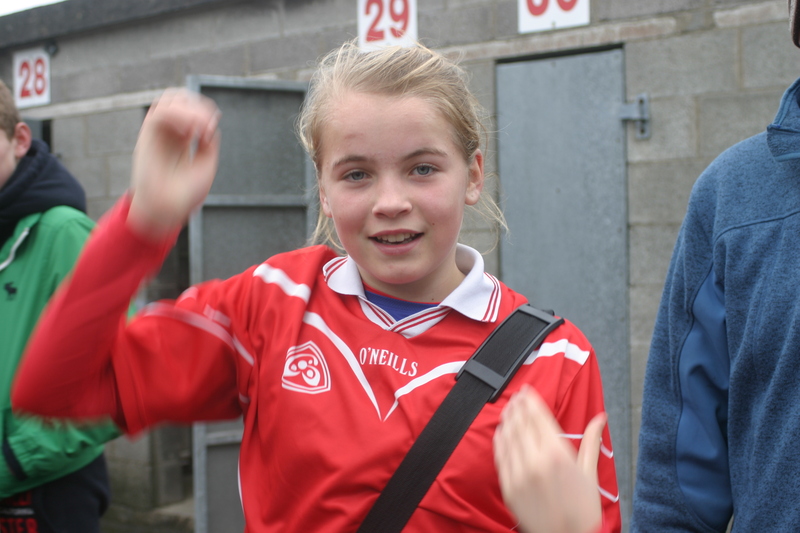 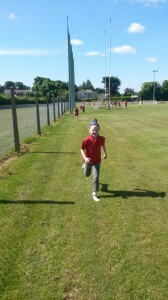 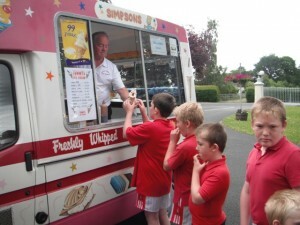 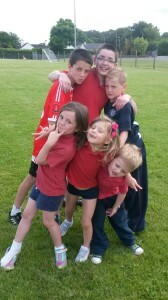 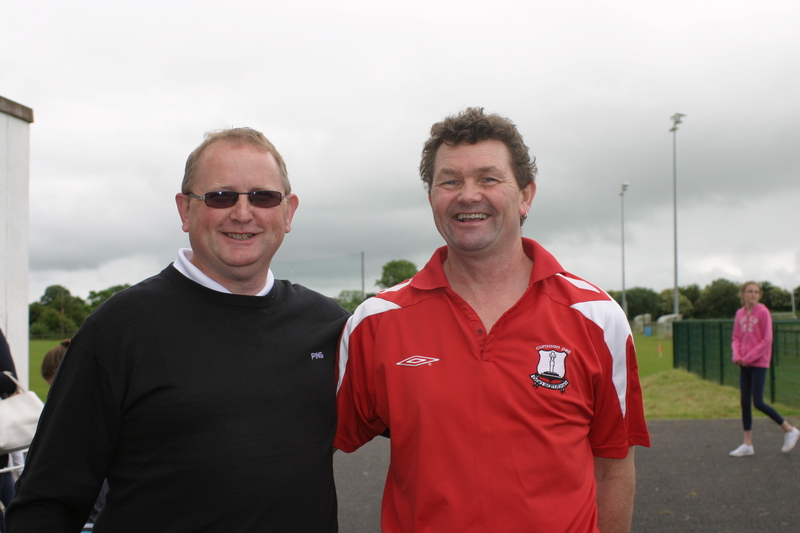 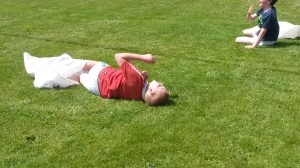 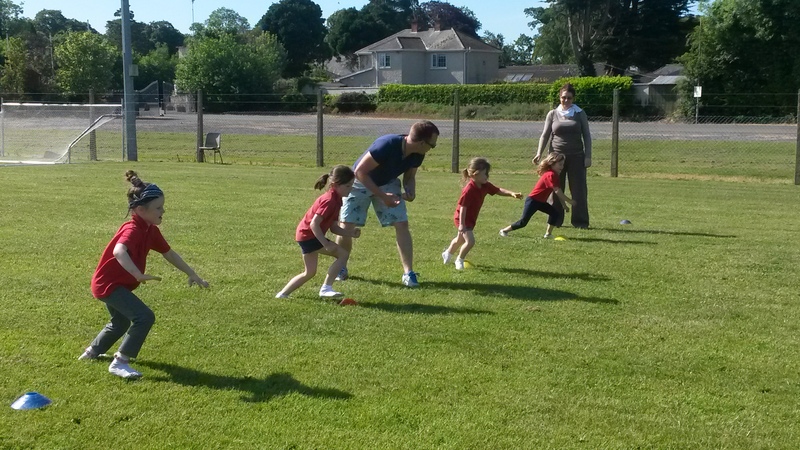 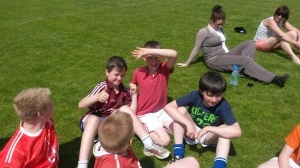 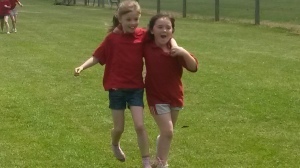 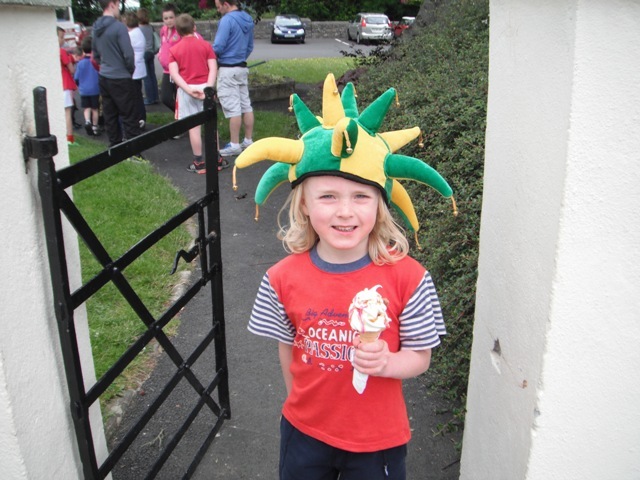 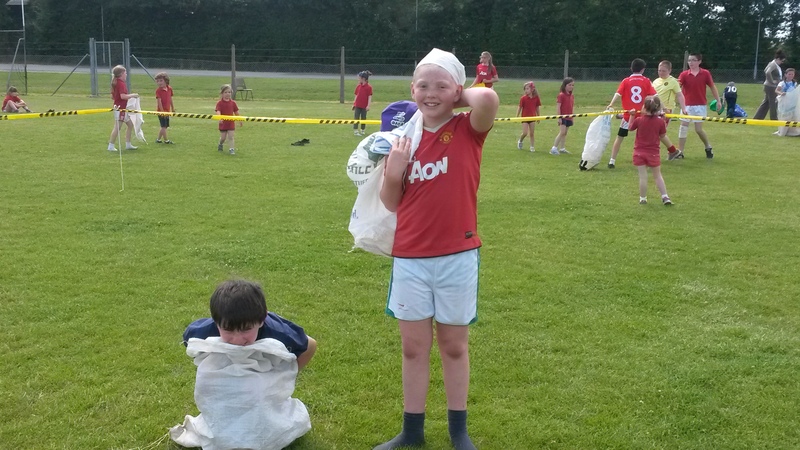 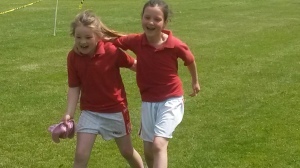 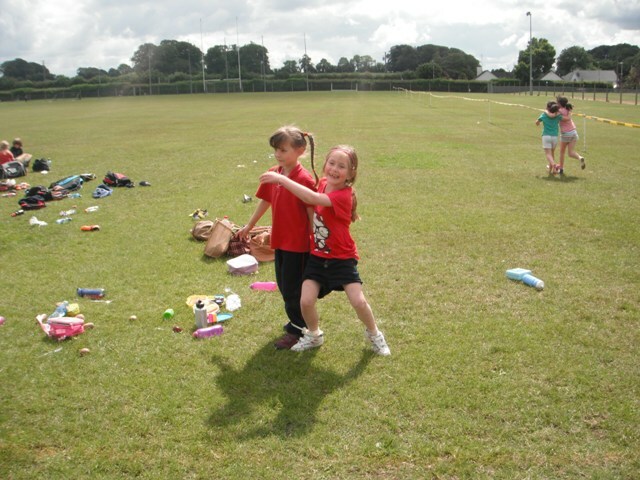 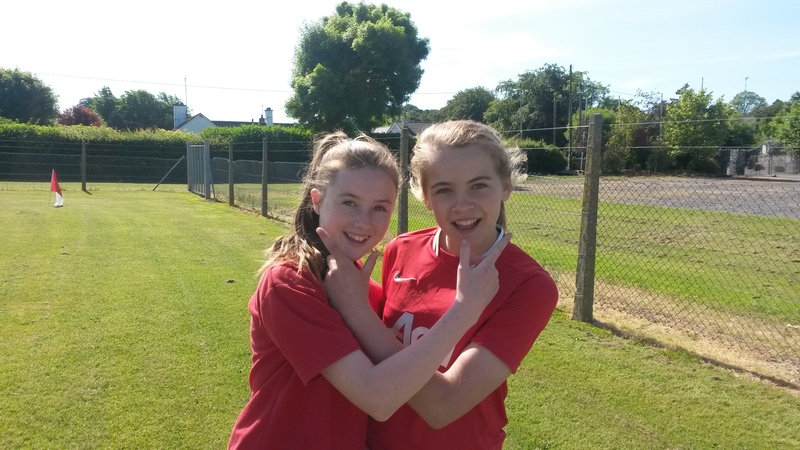 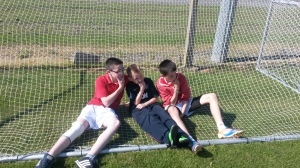 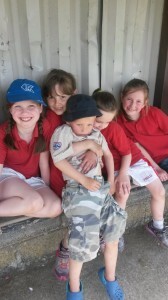 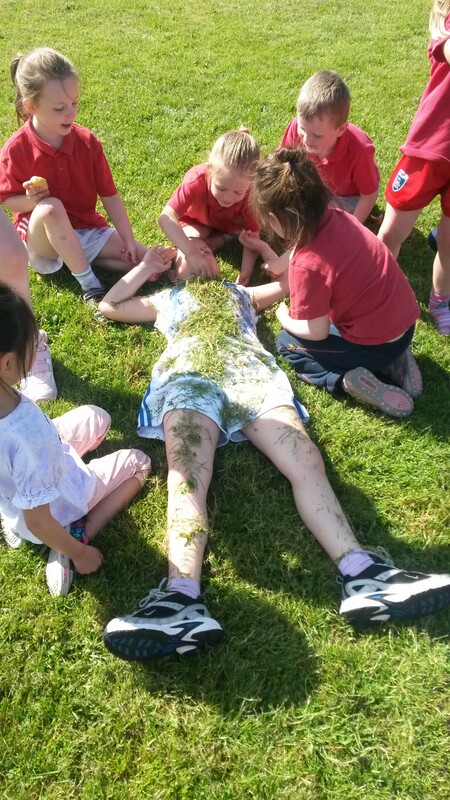 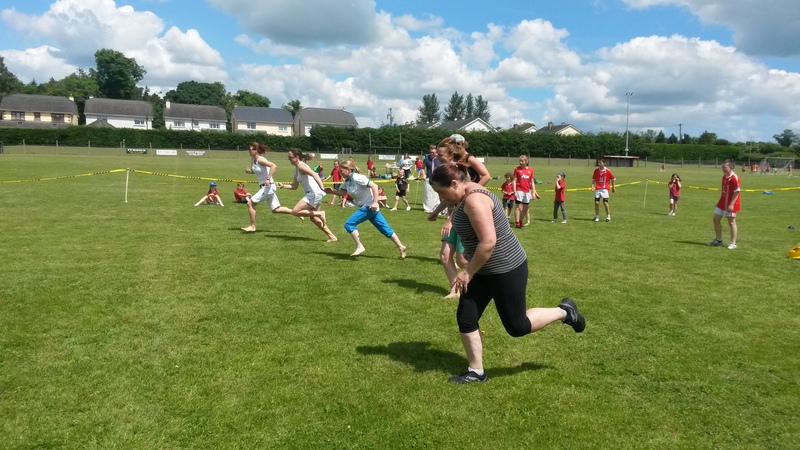 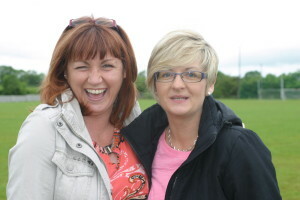 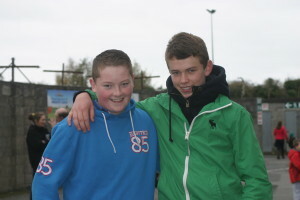 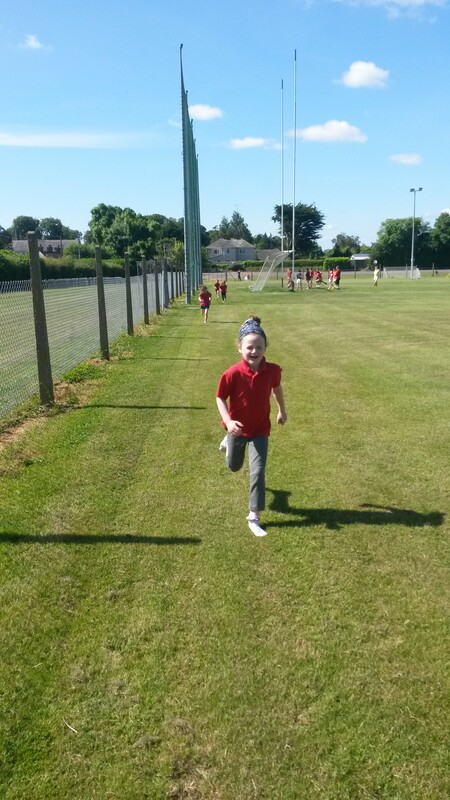 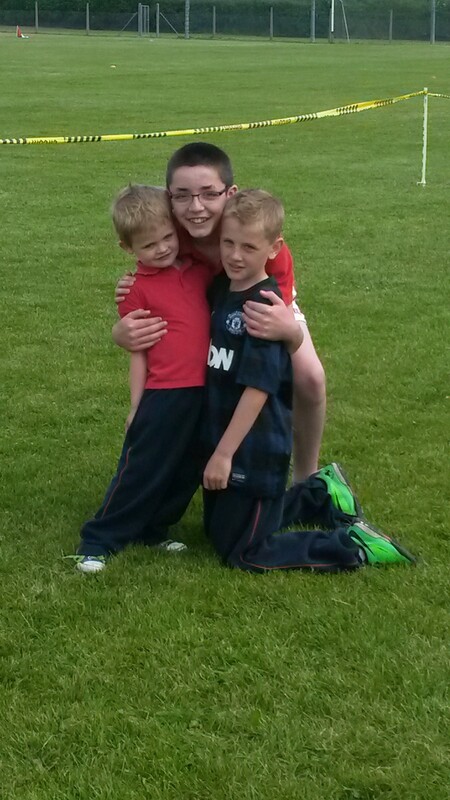 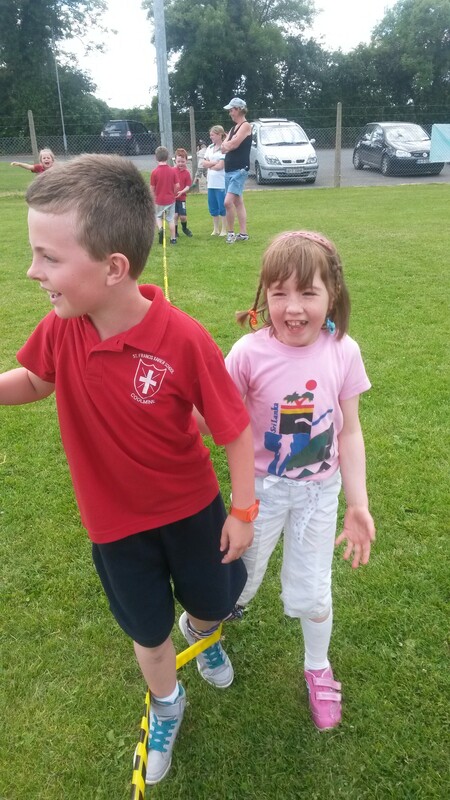 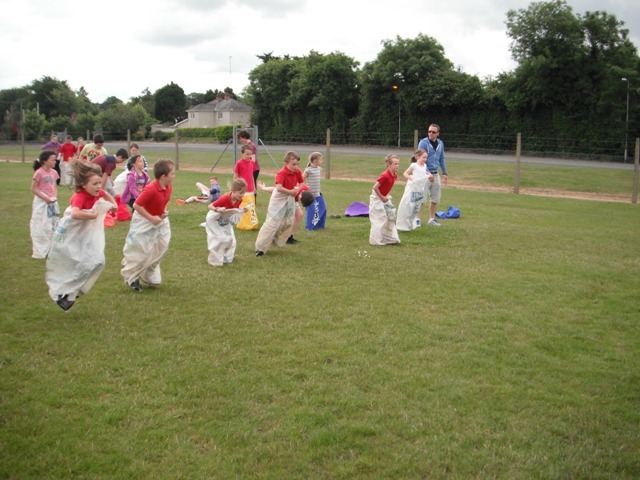 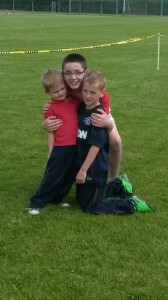 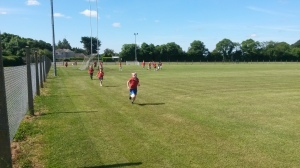 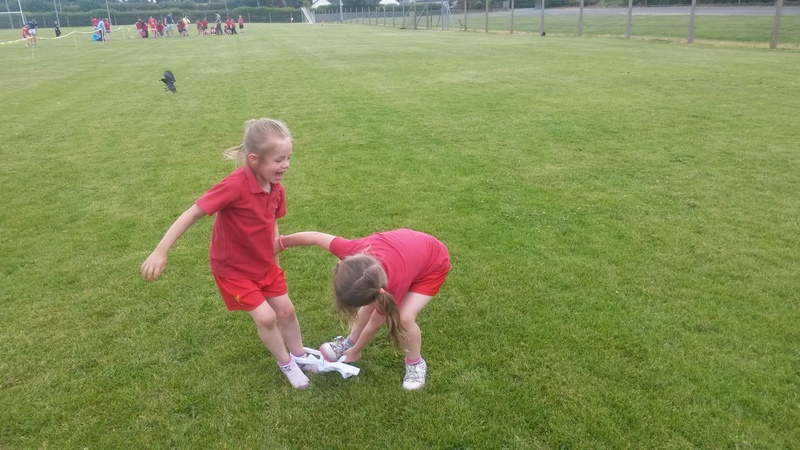 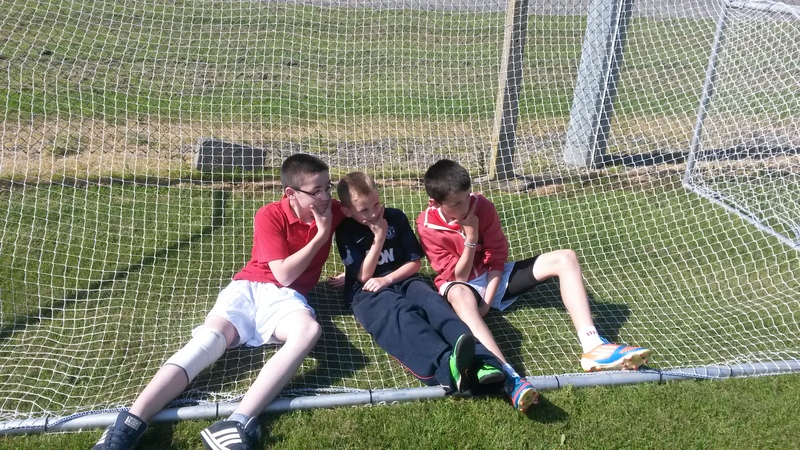 What a win for Dunsany, the 20 year wait was worth it…..
A treat well earned after sports day! 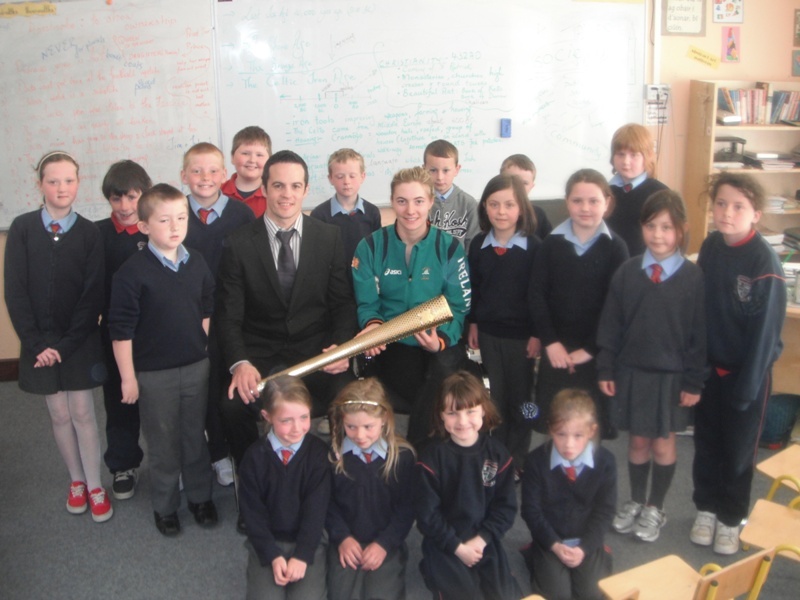 An ordinary school morning took an exciting twist recently when Irish Olympians Natyalya Coyle (Modern Penthalon) and Darren O’ Neill (Boxing) paid the school a suprise visit. After the initial flurry of excitement, Natalya and Darren were welcomed by pupils and staff with a standing ovation. They went on to spend an hour fielding all sorts of interesting questions on their sporting careers. 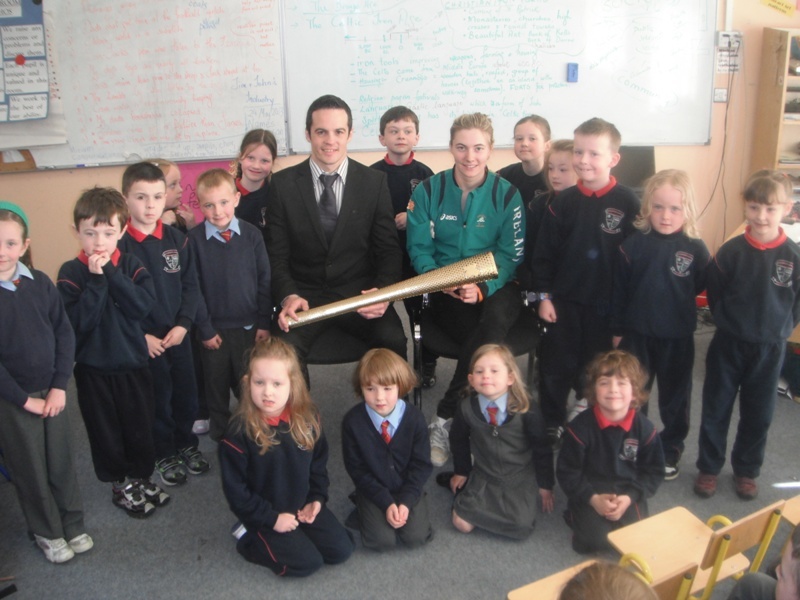 Olympic 2012, training, drug testing, nutrition and competitiveness were amongst the topics discussed. 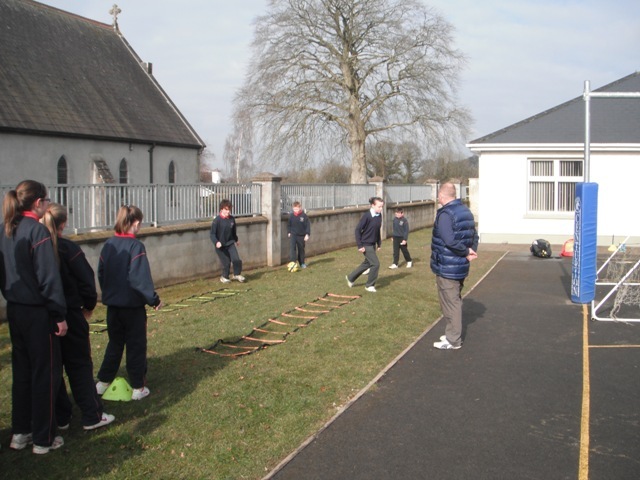 The pupils learned that Darren who captained the Irish team in London last summer, rooms with John Joe Nevin on every occasion they compete together. 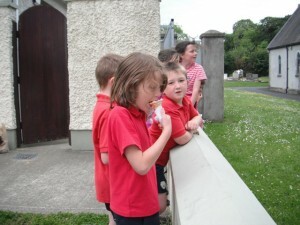 They also learned that Natalya can eat as much as she likes as often as she likes as five disciplines require lots of food, Darren on the other hand has to “eat lettuce” to make the weight for a match! 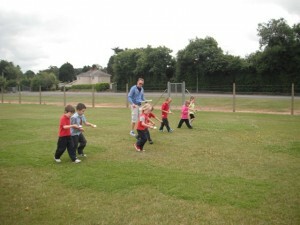 Darren is no stranger to the classroom as he is a primary school teacher. 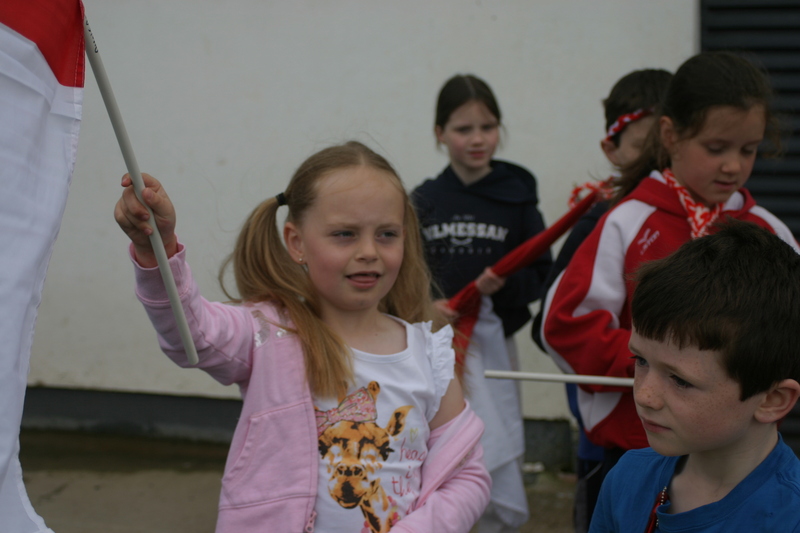 Natalya brought with her the Olympic torch which she carried for her 300 metre run. In total 8,000 people carried the torch. 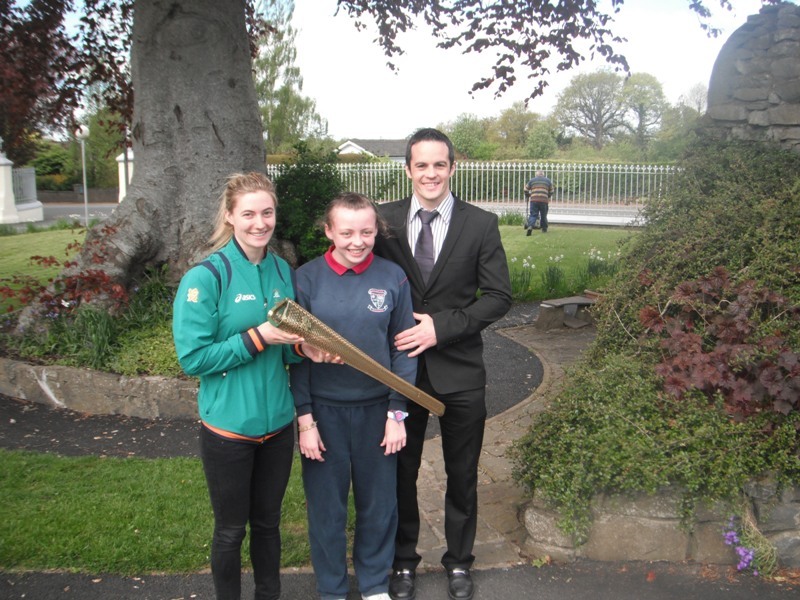 All 8,000 of them are represented on the torch by 8,000 holes. 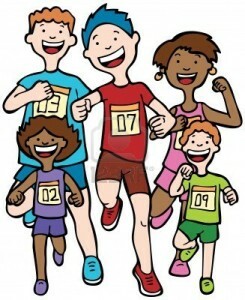 Would you believe that the food hall in the Olympic Village was as long as four football pitches and as wide as one – it had food from every country in the world and even had a McDonalds! Natalya and Darren were very generous with their time. Despite having a Sports Council event to attend to later that morning, they signed autographs and posed for photos with pupils. 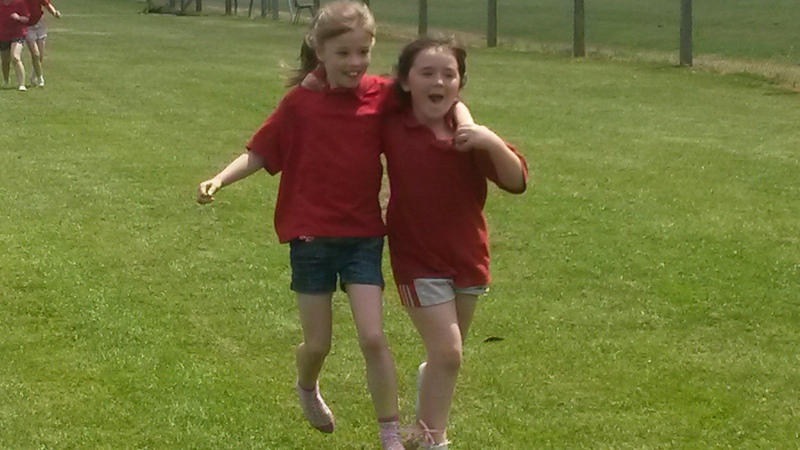 They are wonderful ambassadors for their individual sport and for their country. 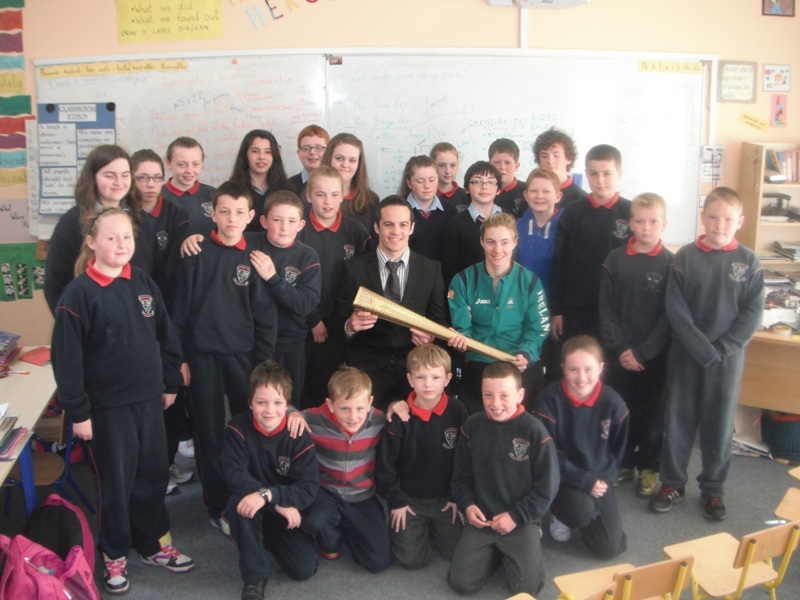 The school is very grateful to the McQuaid family, Dunsany who made this visit possible and to these fine young athletes for their time and inspirational talk. 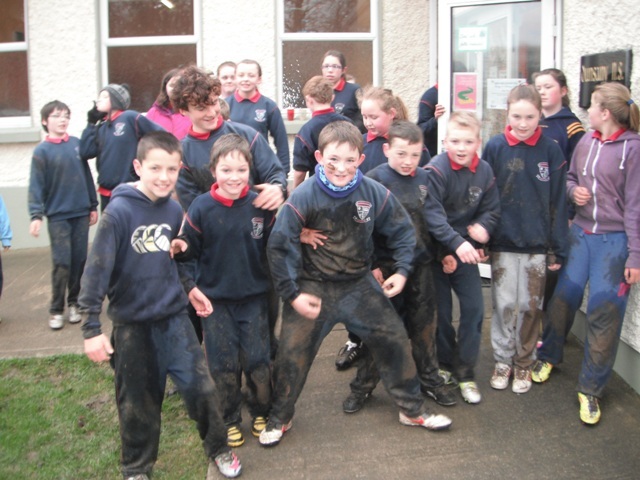 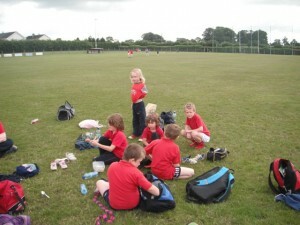 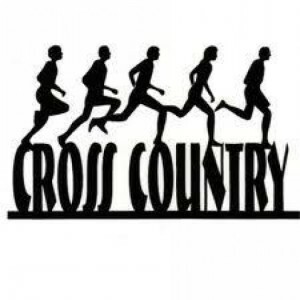 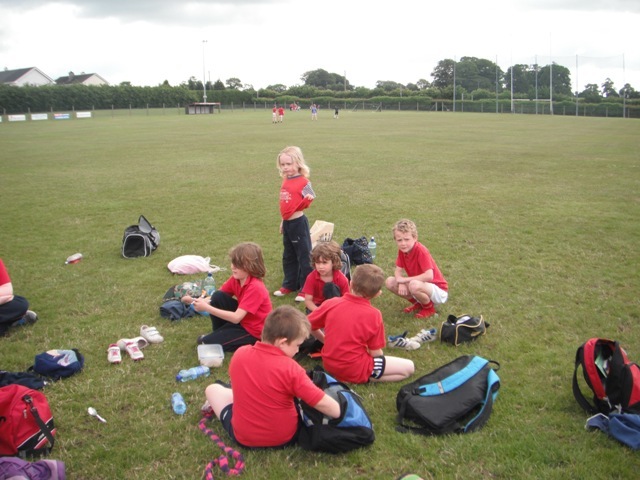 Everyone from Dunsany NS had a great day at the Cross Country meet outside Athboy last Friday. There was a huge turnout, and we are very proud of all of our runners who did the school proud. 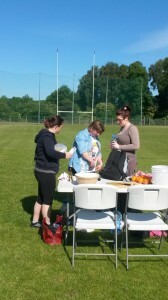 Thanks to Christina for all her help on the day!